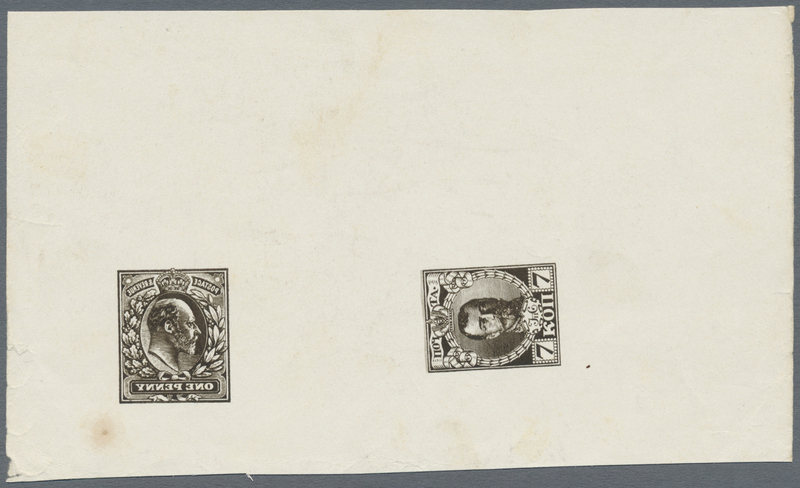 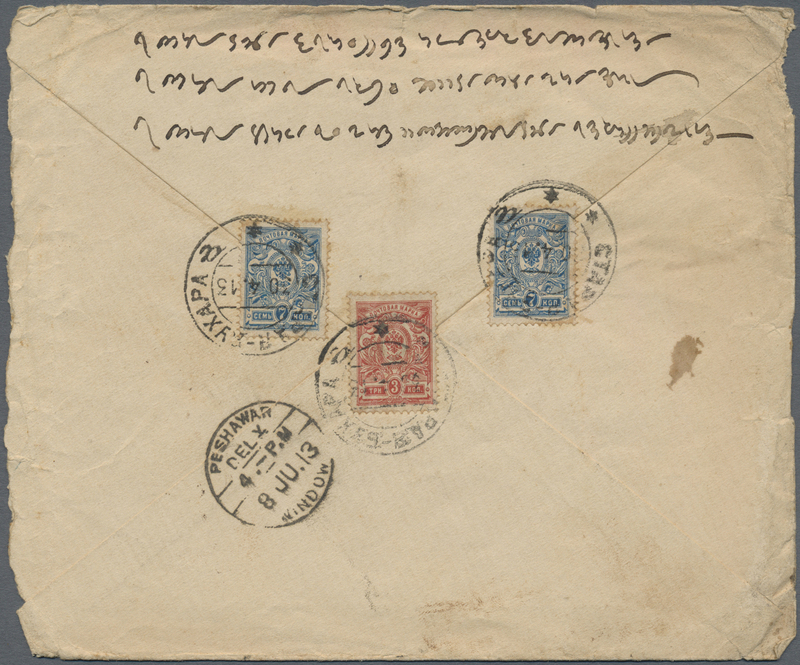 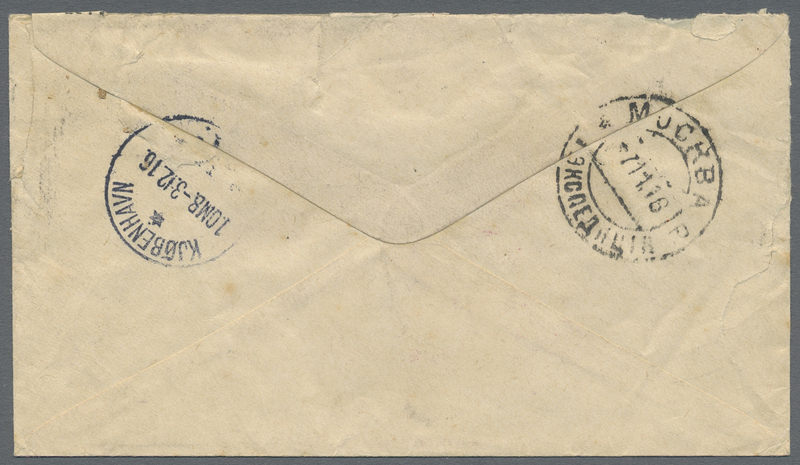 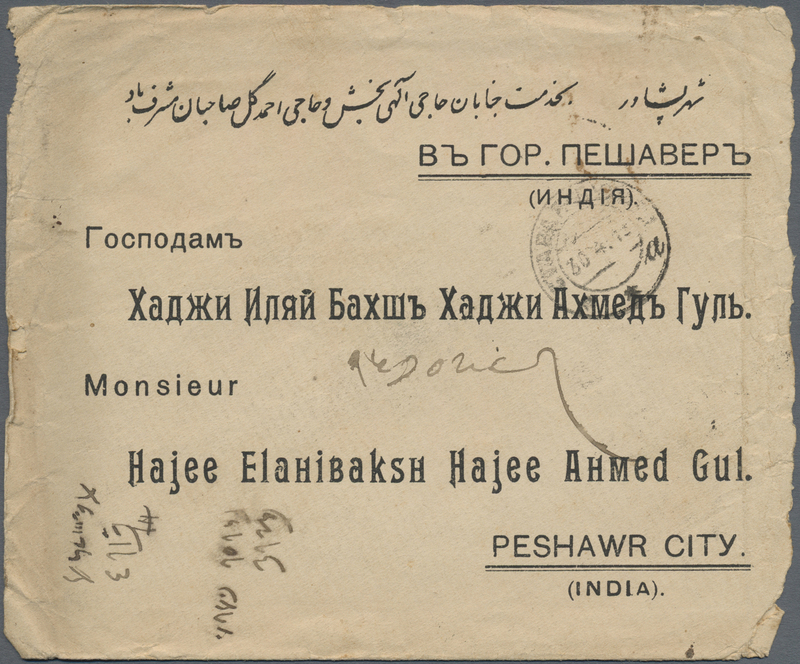 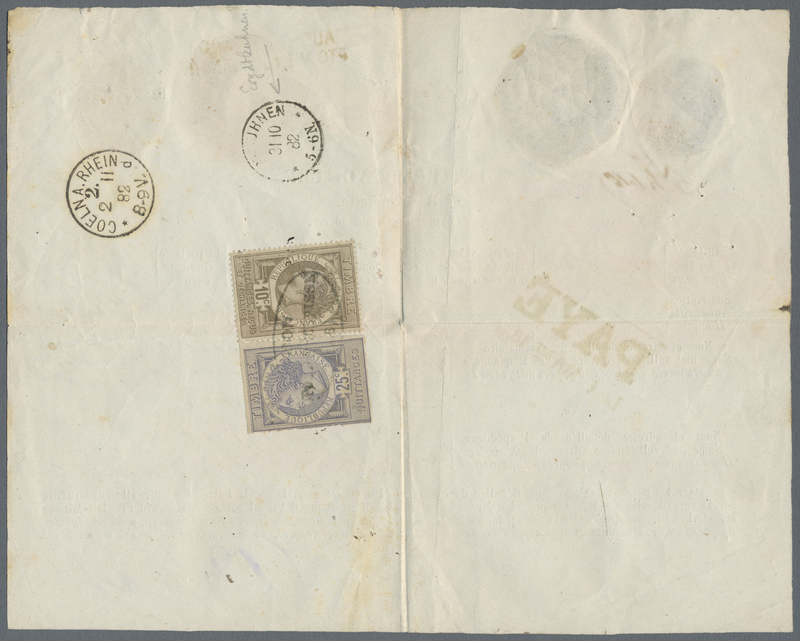 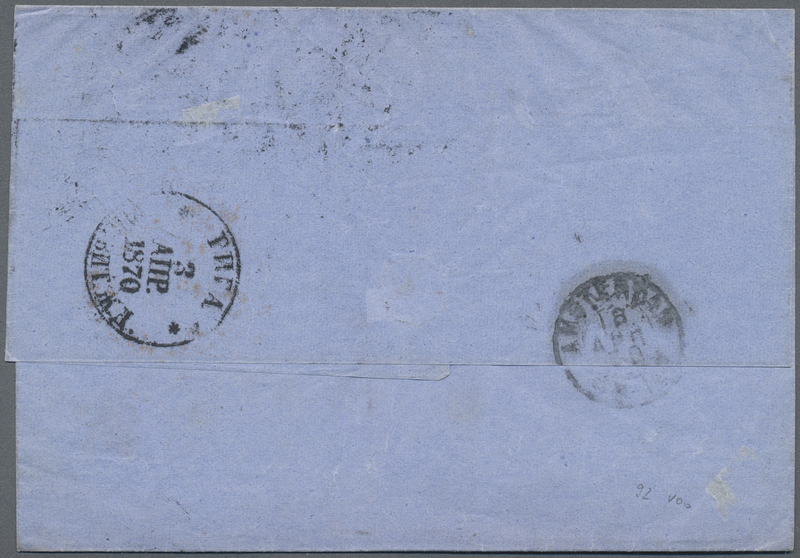 19809 Brief (cover) 65, 68 (2) 1913, letter from BUCHARA to Peschawar, Afghanistan. 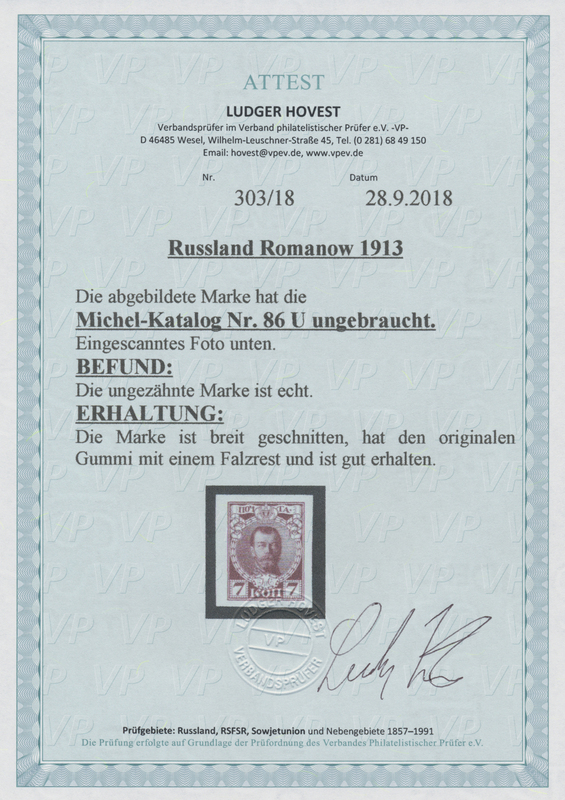 No transit marks only Peschwar arrival. 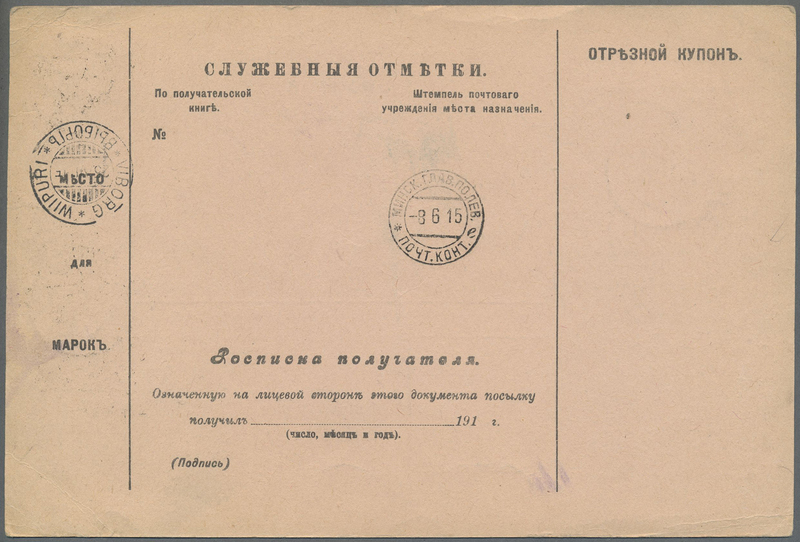 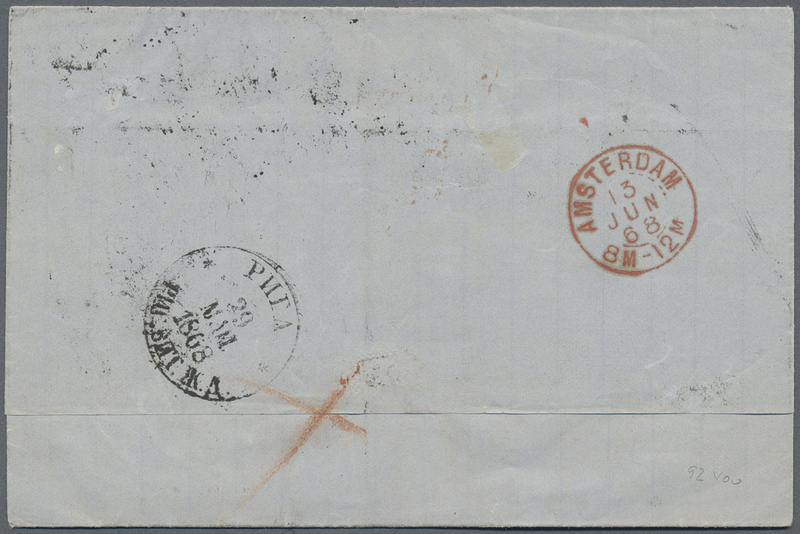 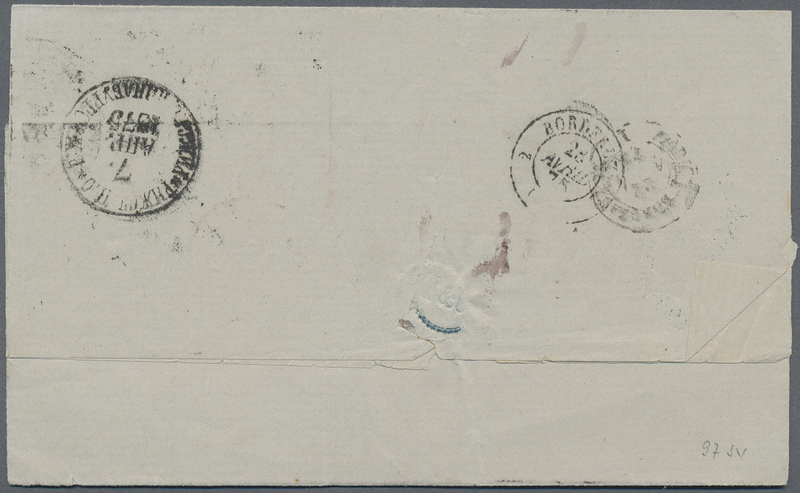 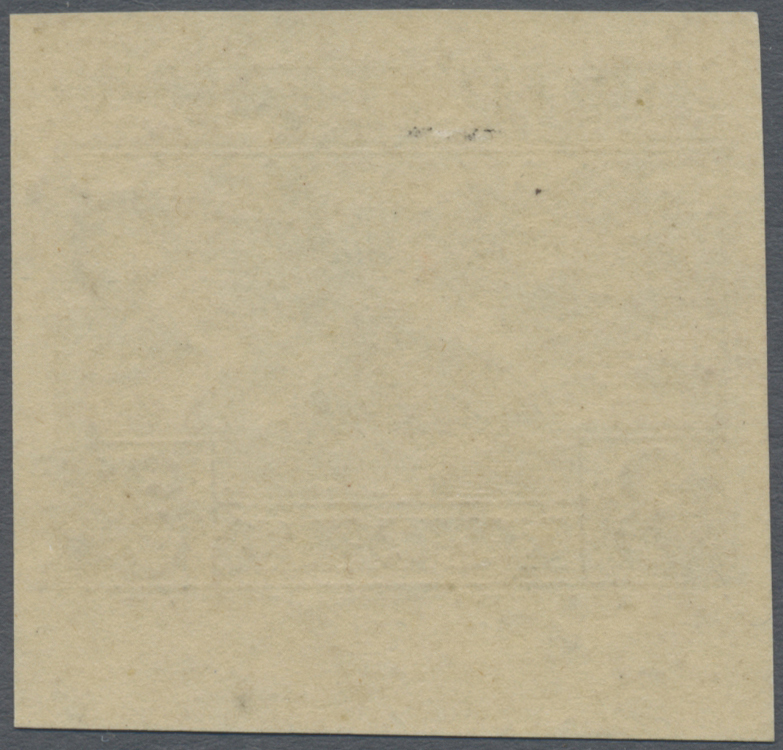 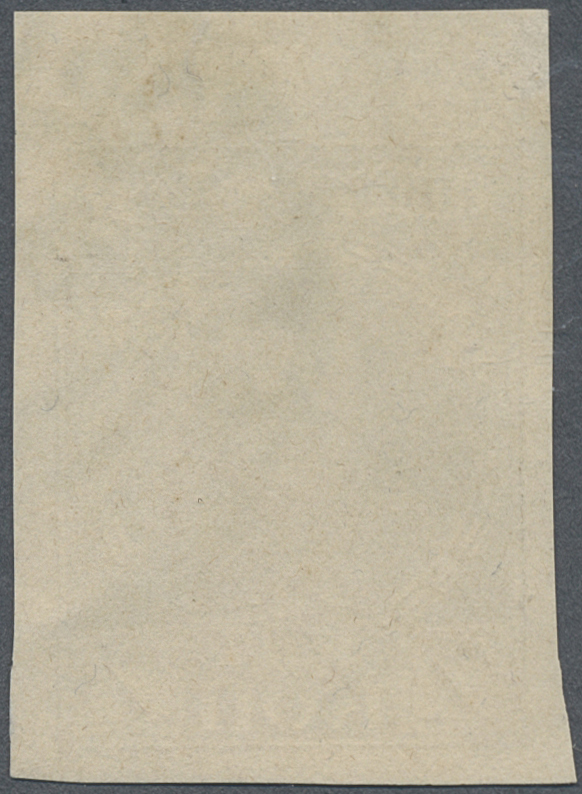 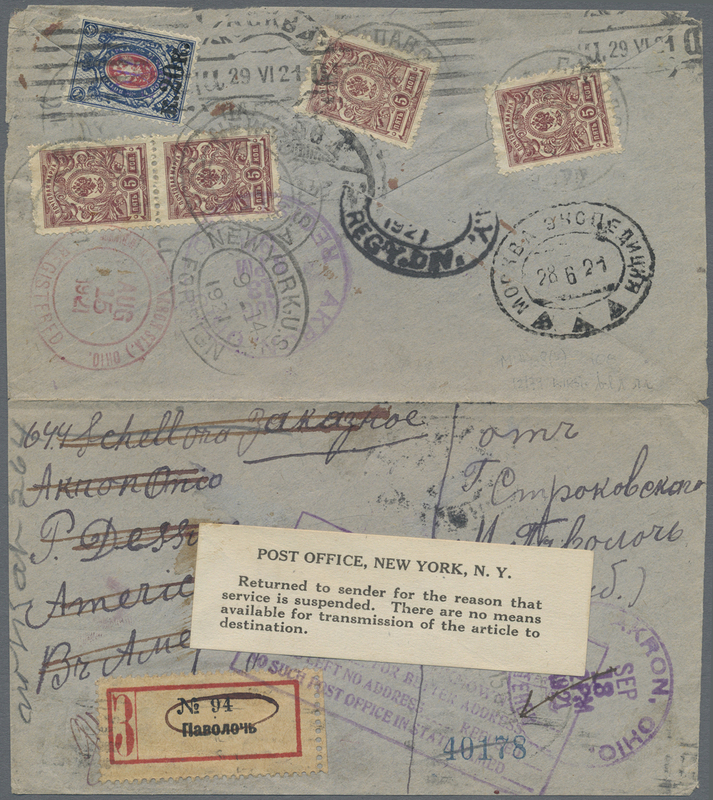 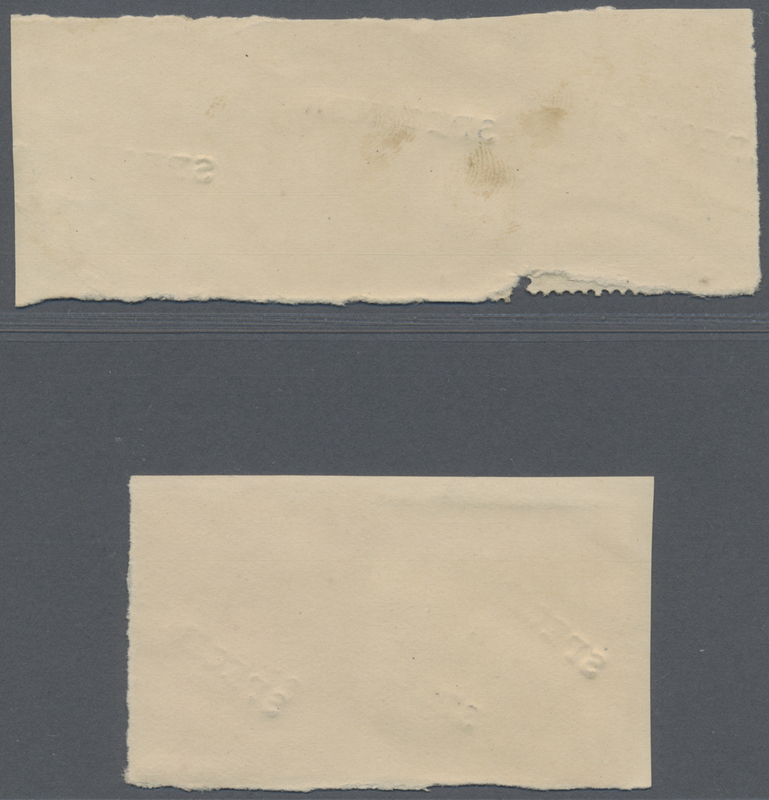 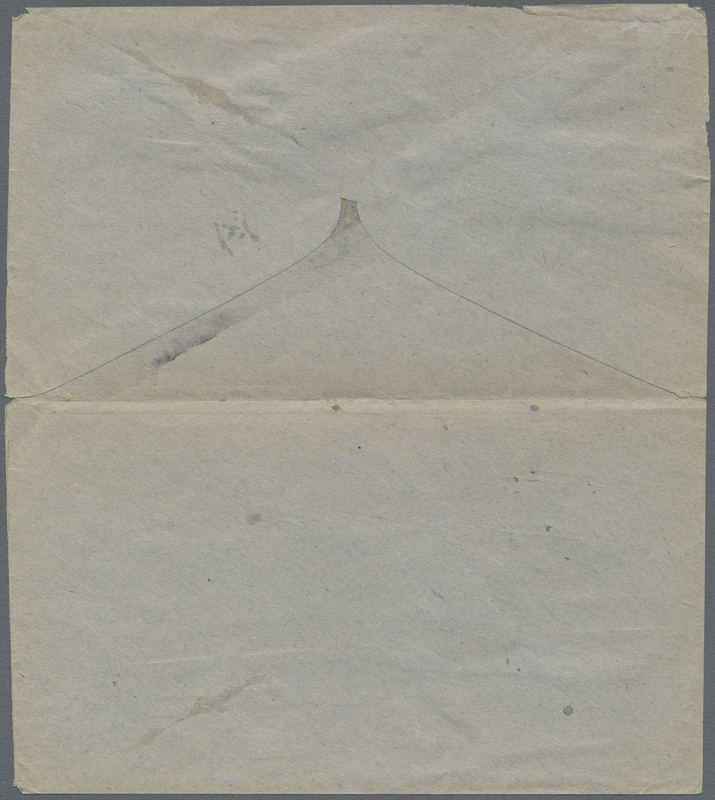 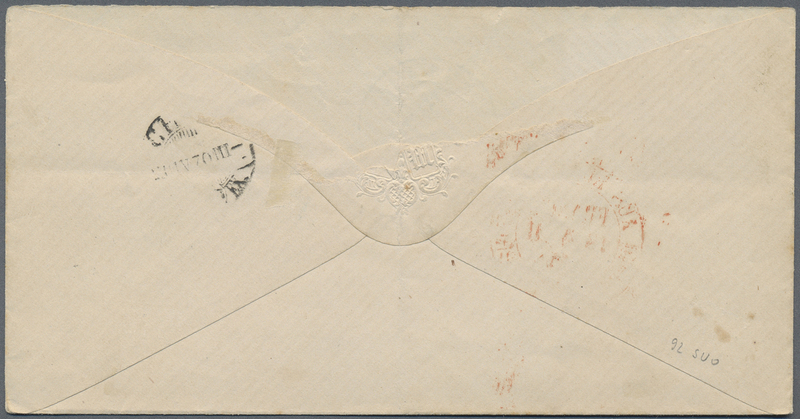 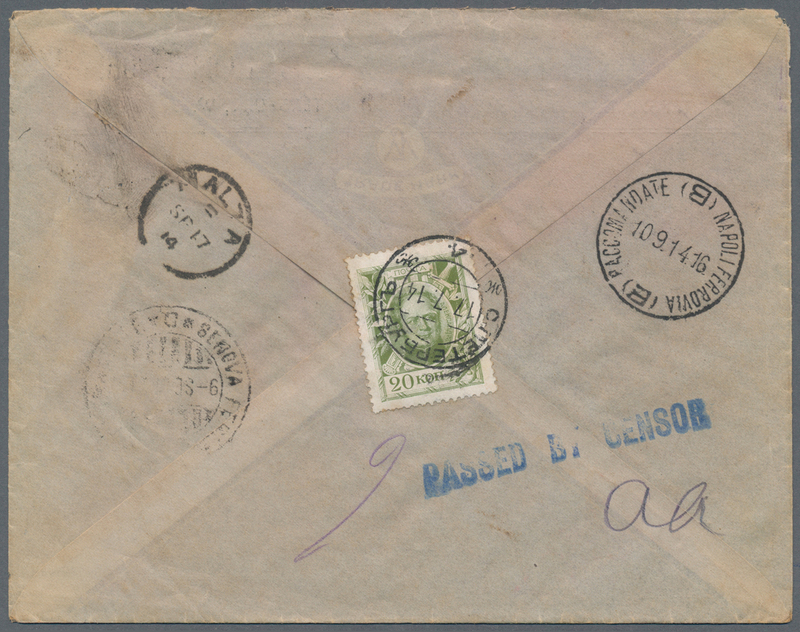 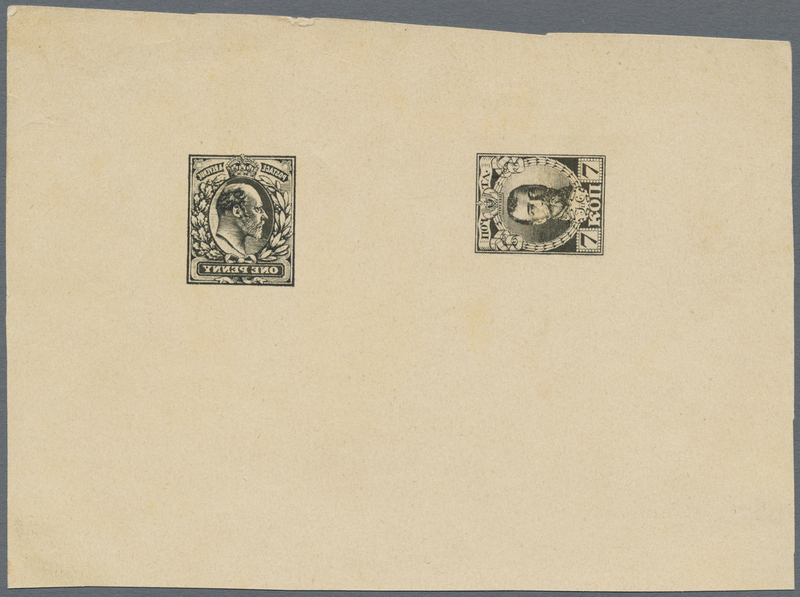 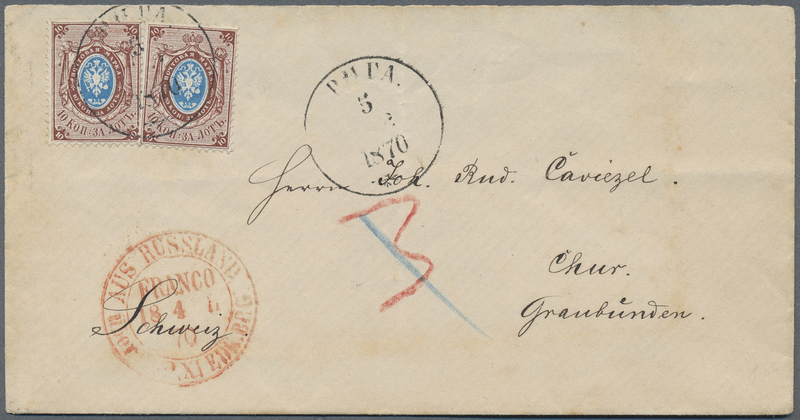 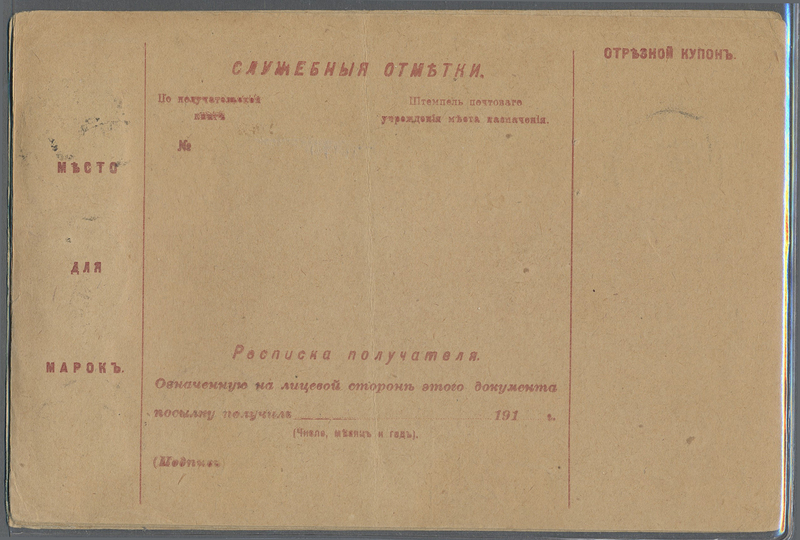 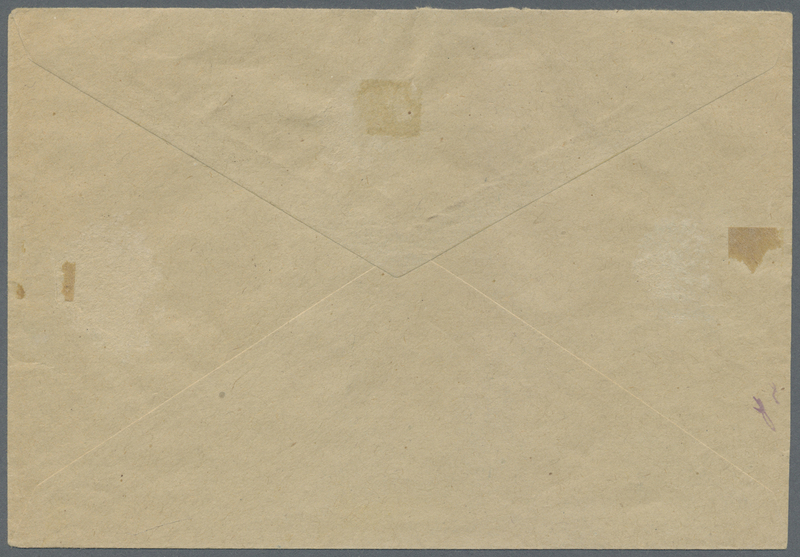 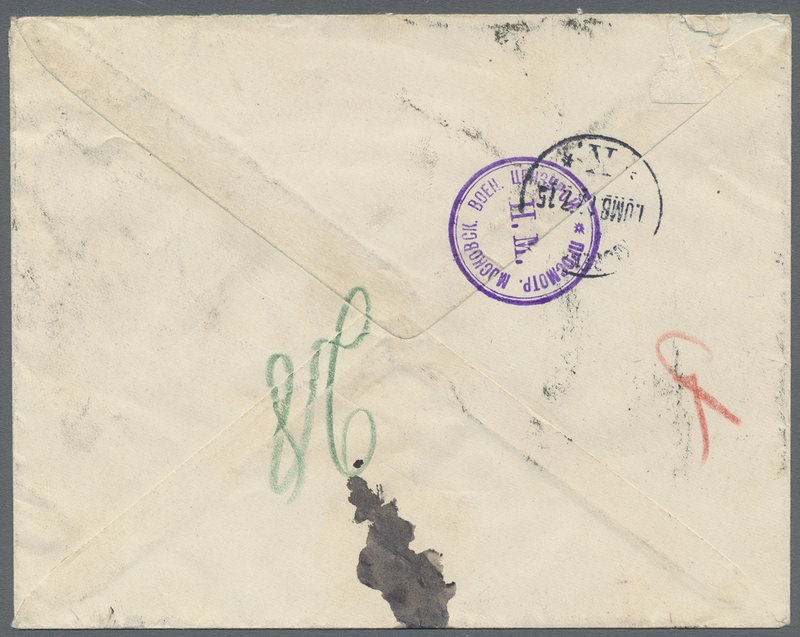 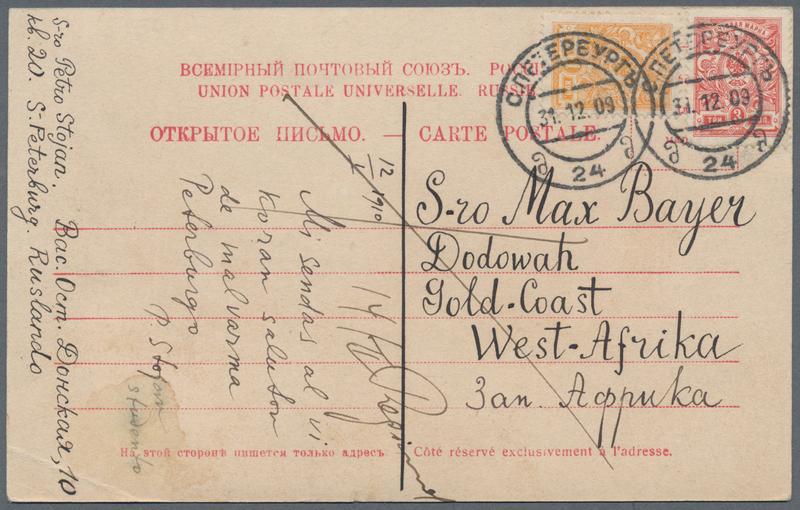 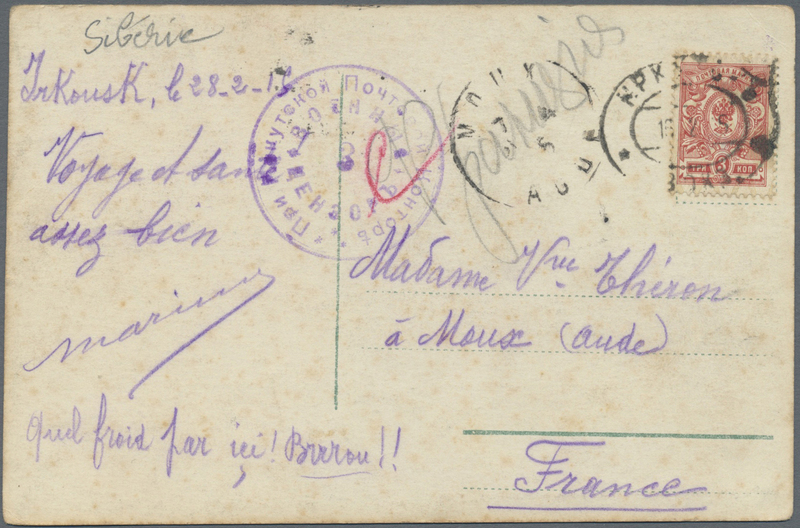 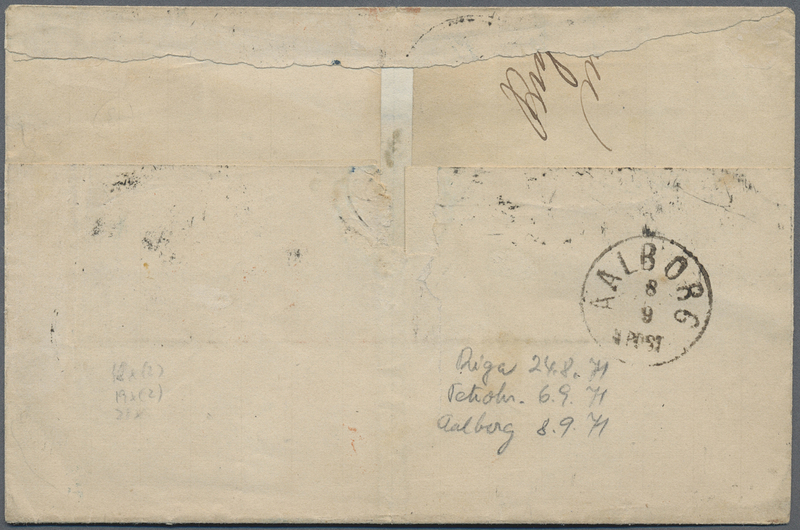 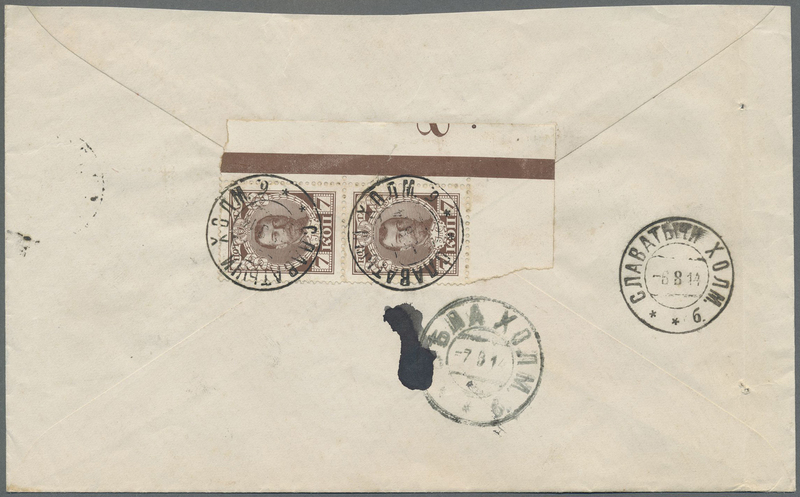 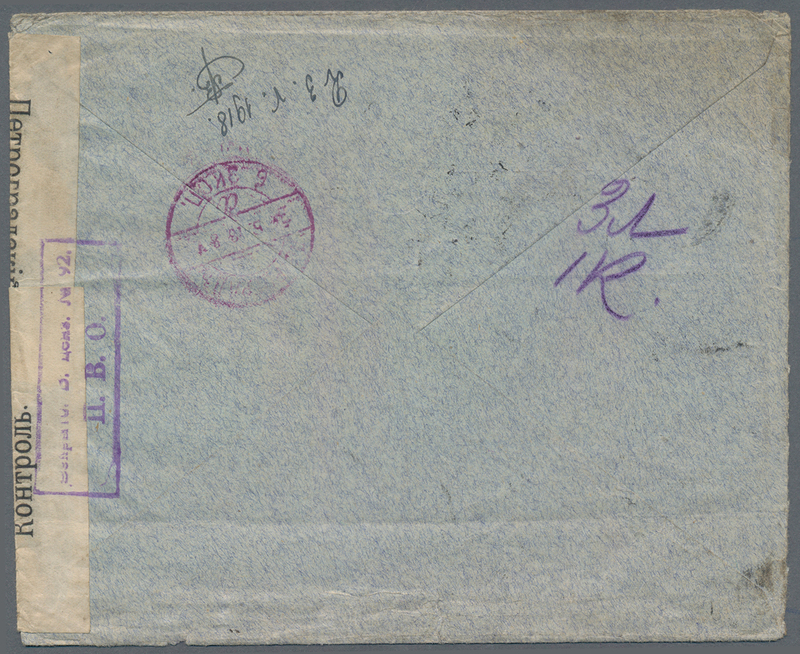 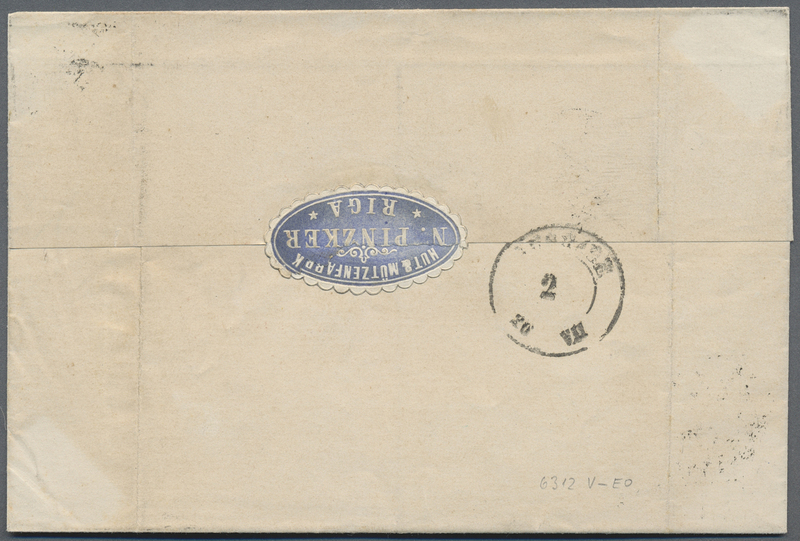 Envelope with some faults. 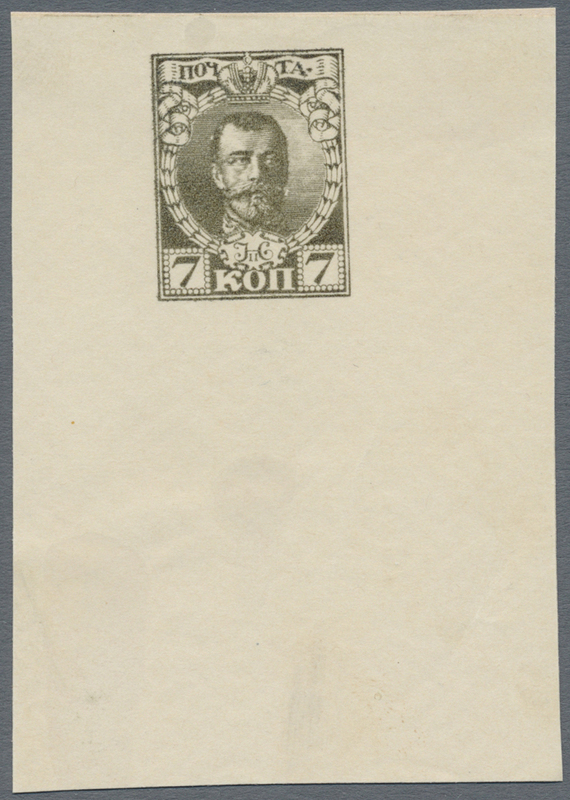 19819 postfrisch (never hinged) ** 74 II Ab Var. 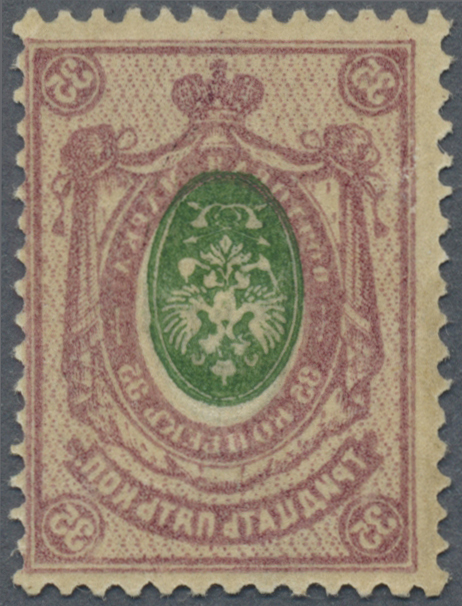 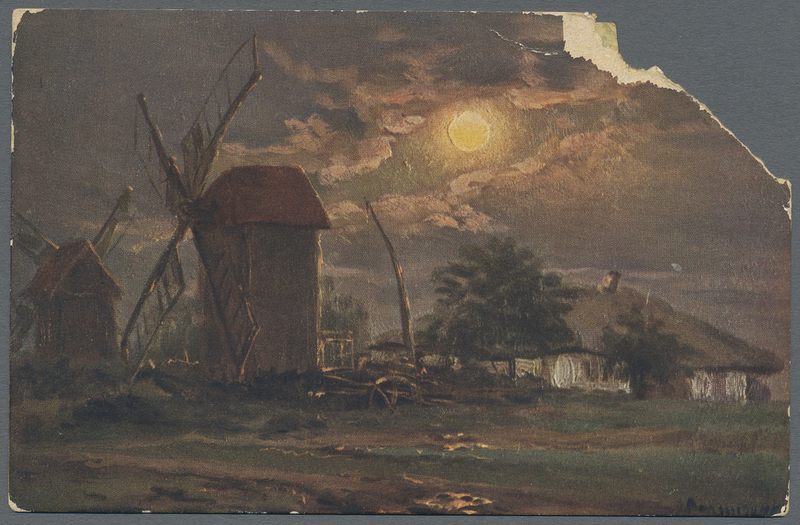 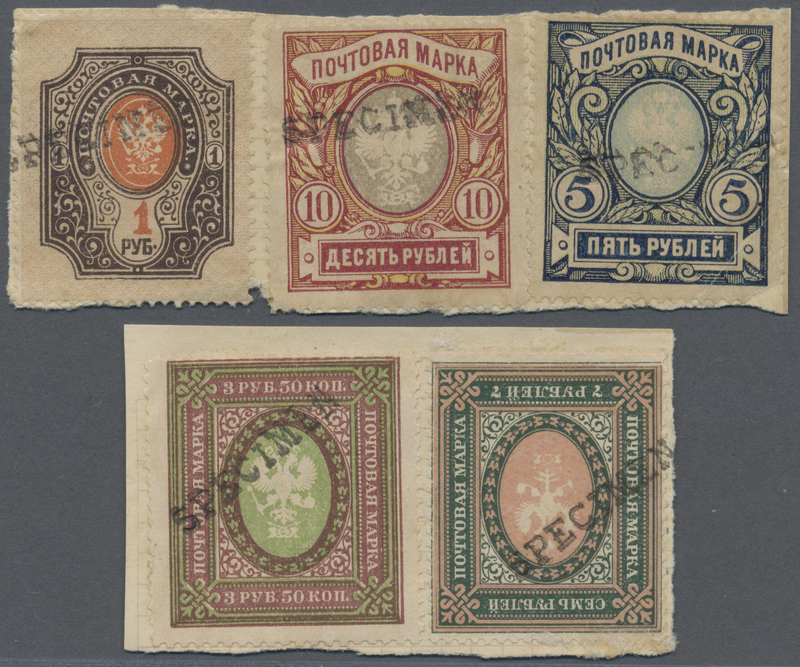 1908-18 35k. 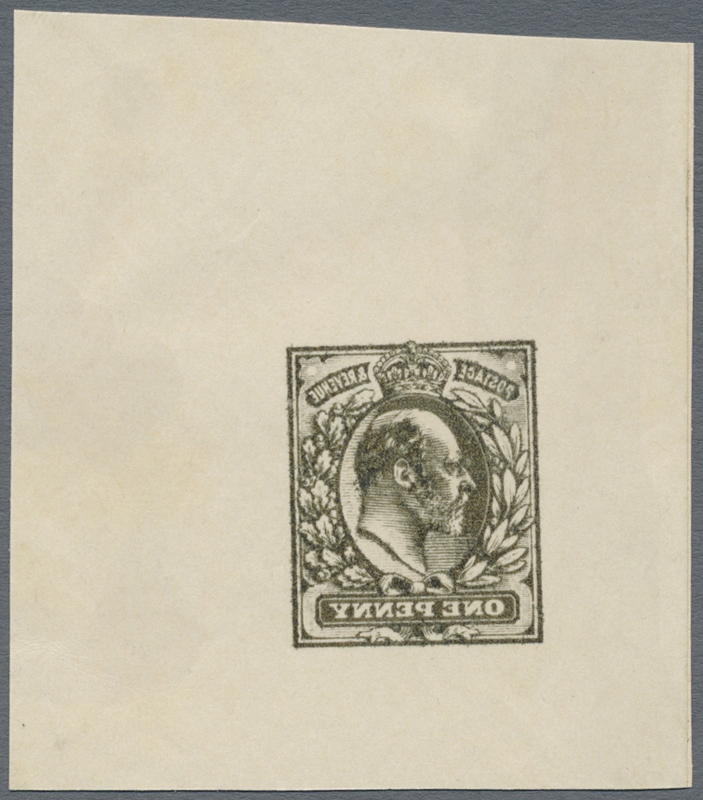 green & brown-lilac, variety COMPLETE MIRROR PRINT ON BACK with CENTER INTERTED, mint never hinged, fresh and fine. 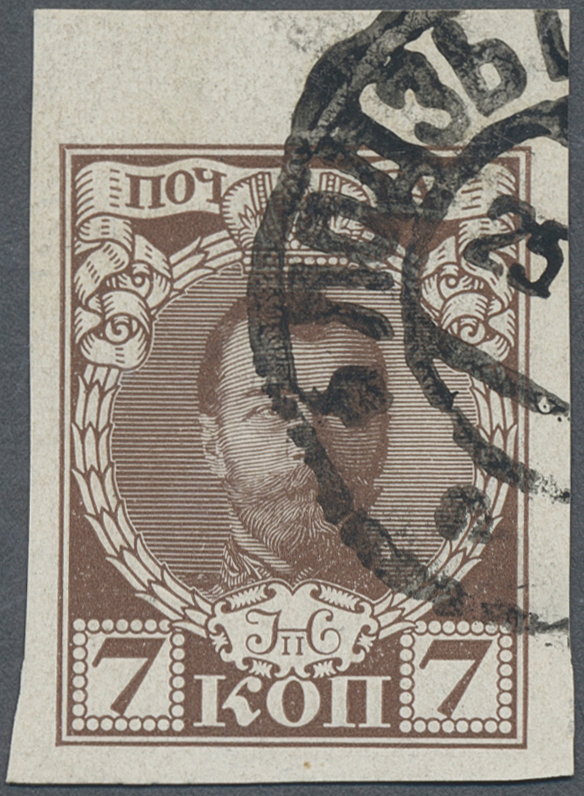 A VERY SCARCE VARIETY. 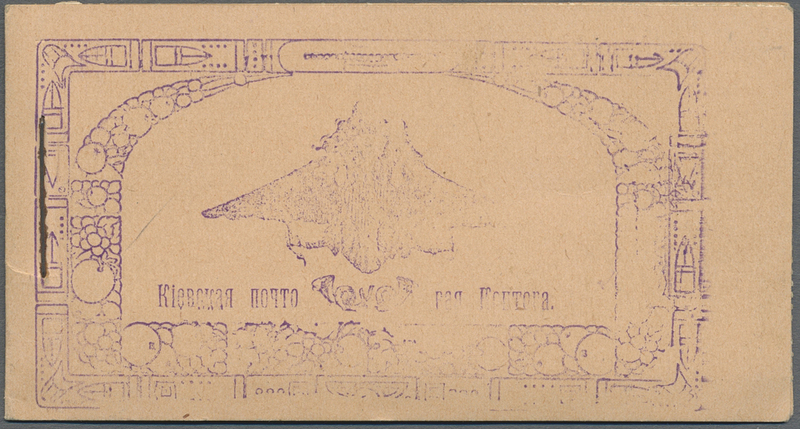 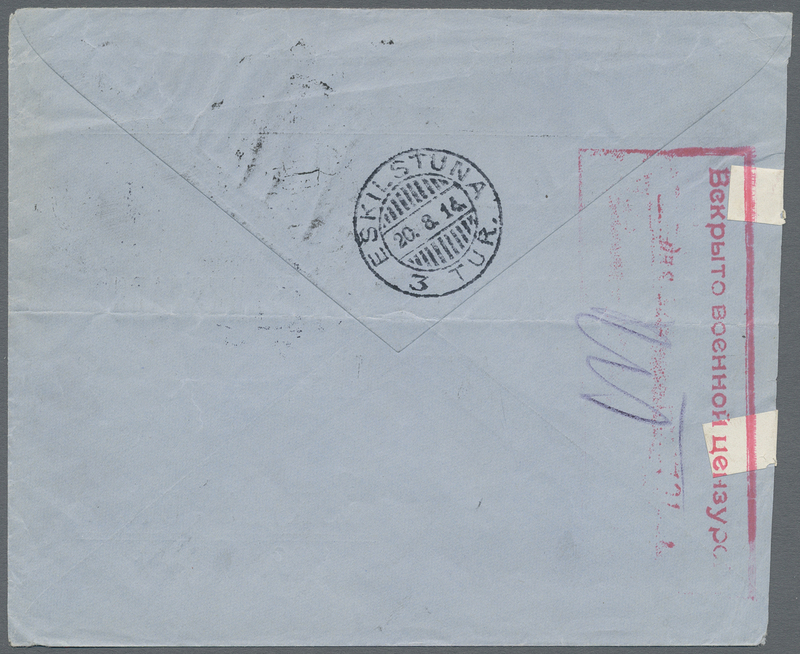 19822 Flugpostbrief (Flight cover) 81Axb 1917, 10 K. (13, inc. block-12) etc. 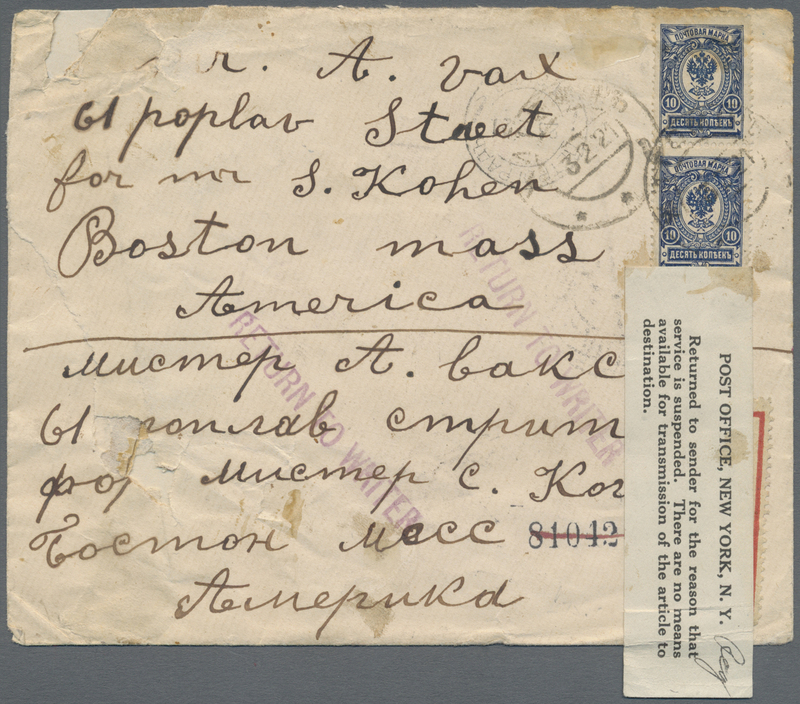 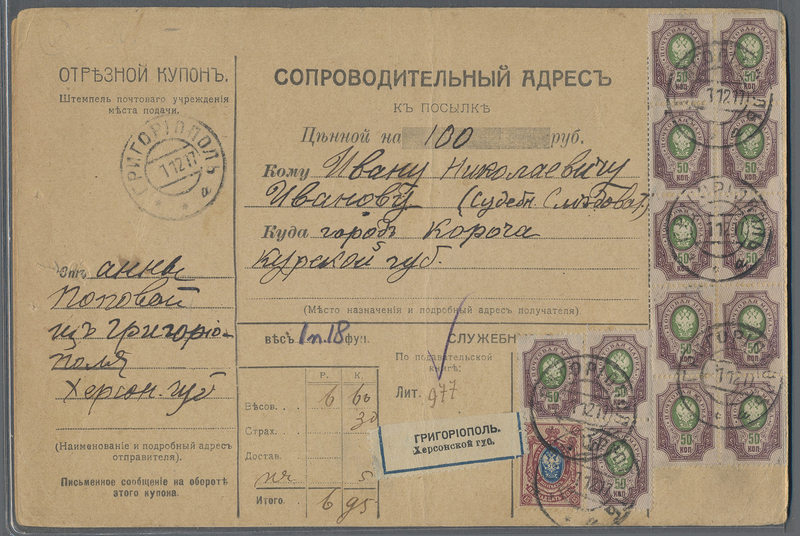 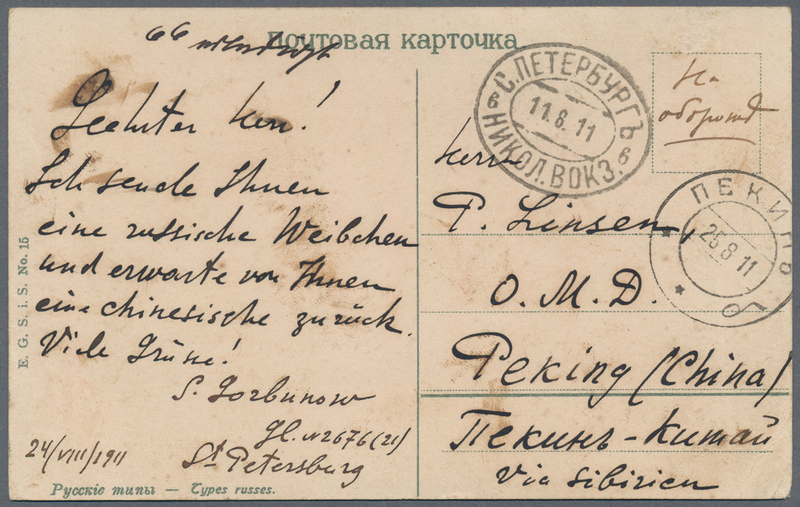 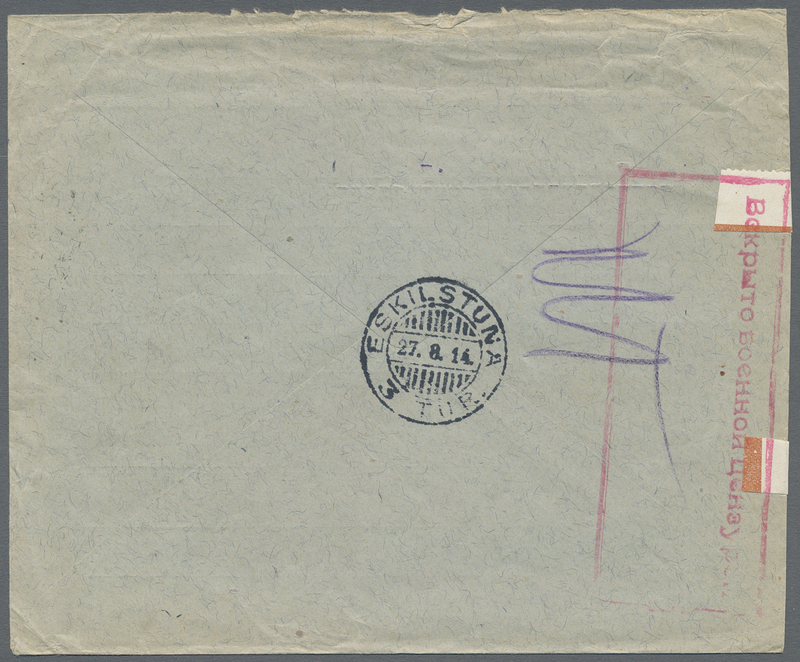 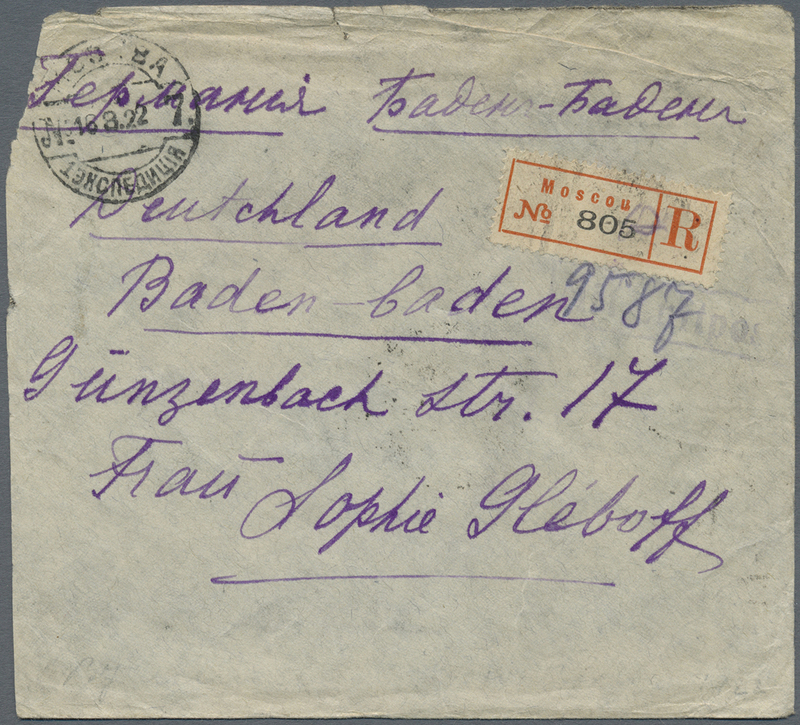 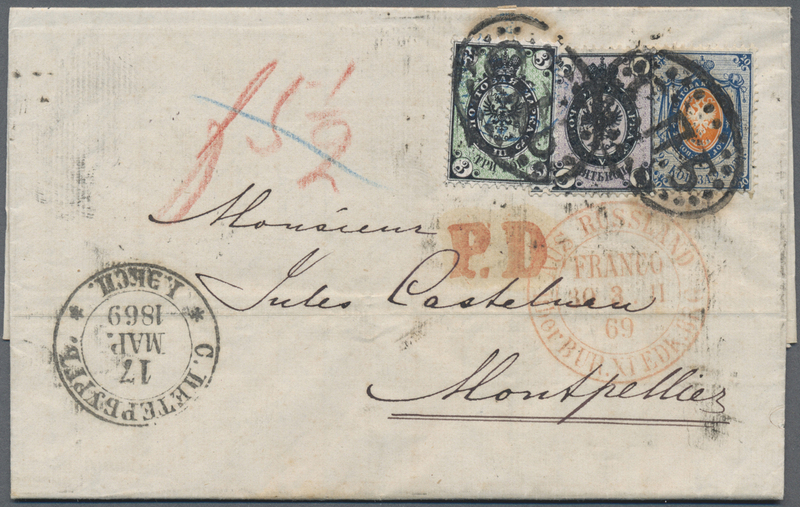 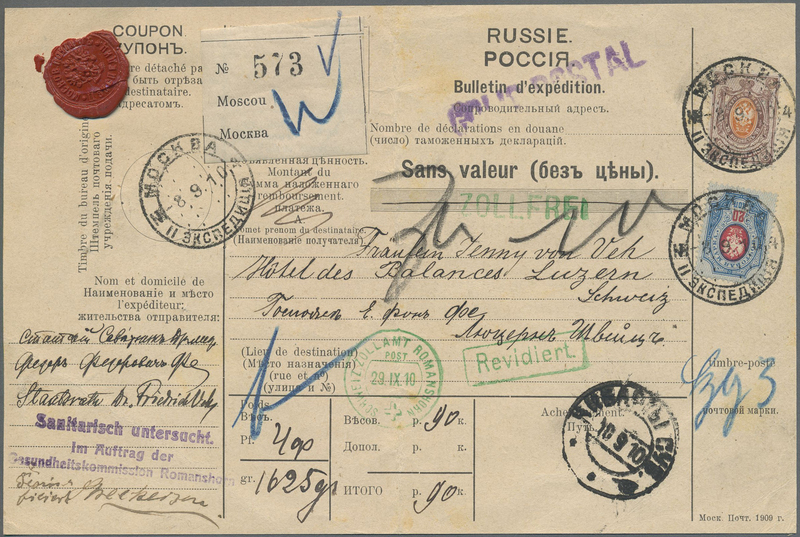 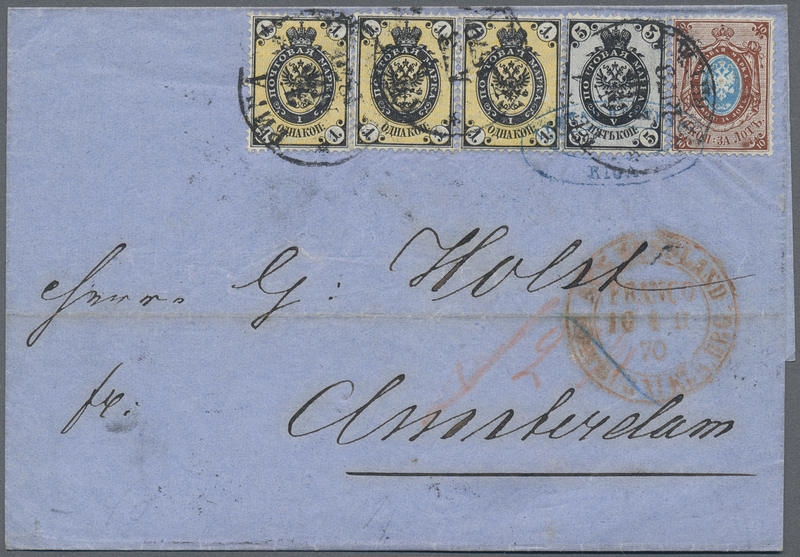 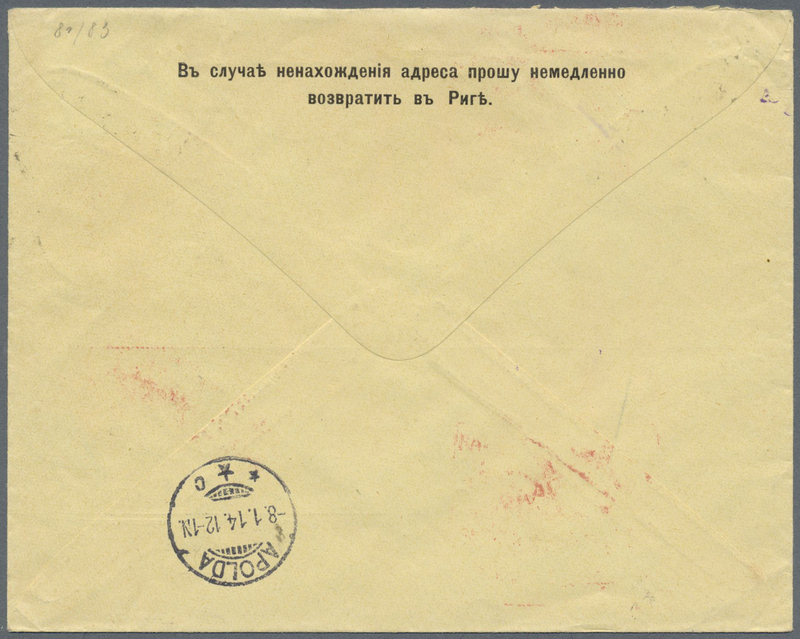 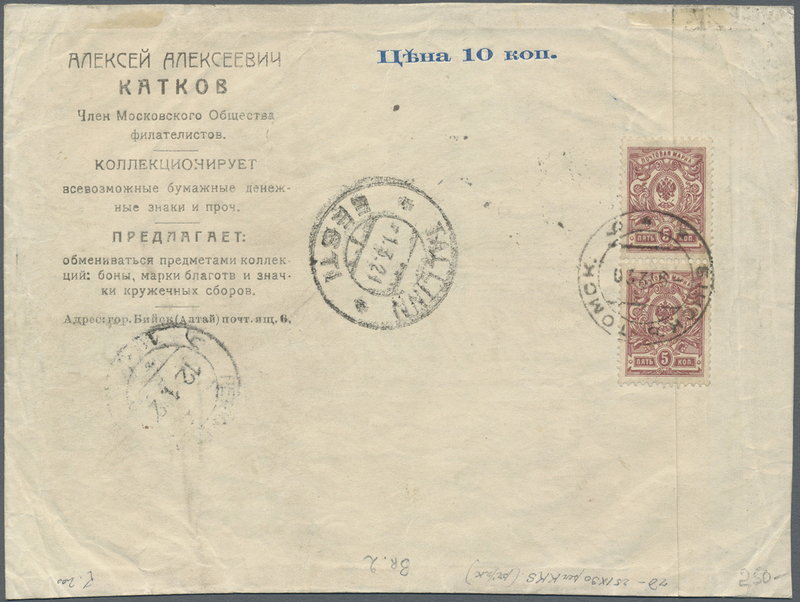 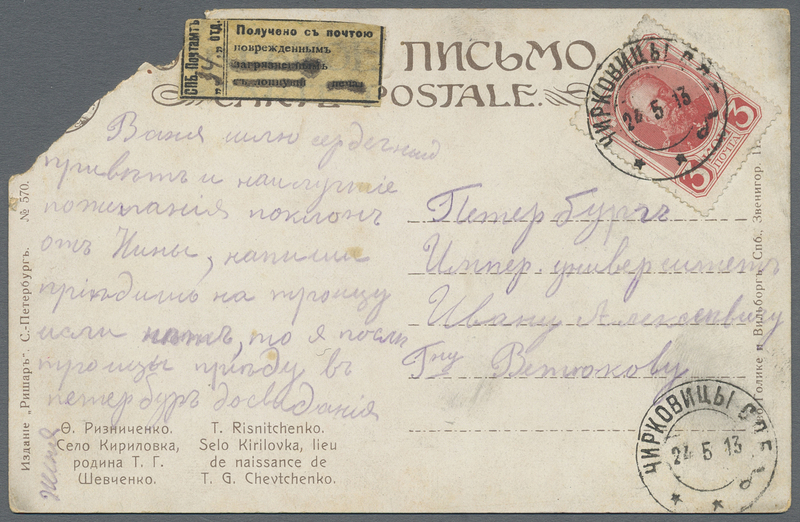 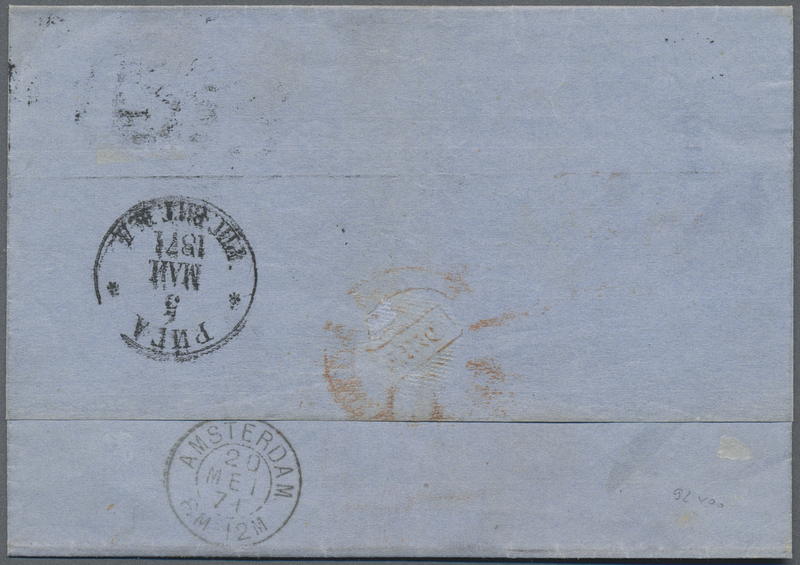 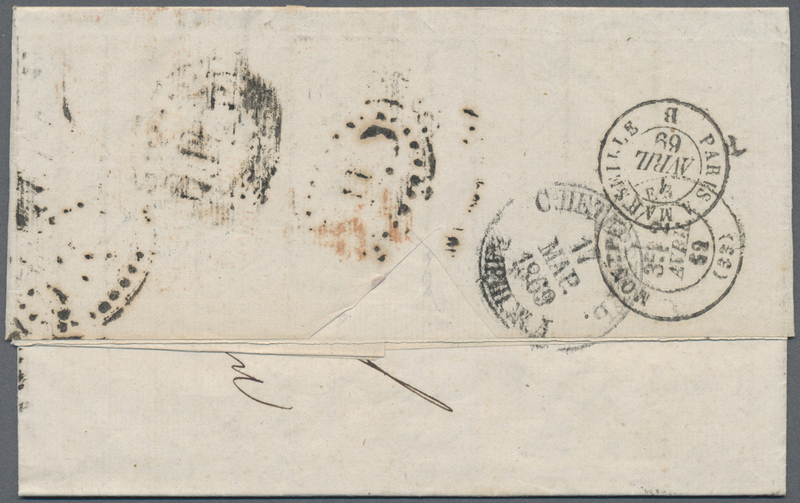 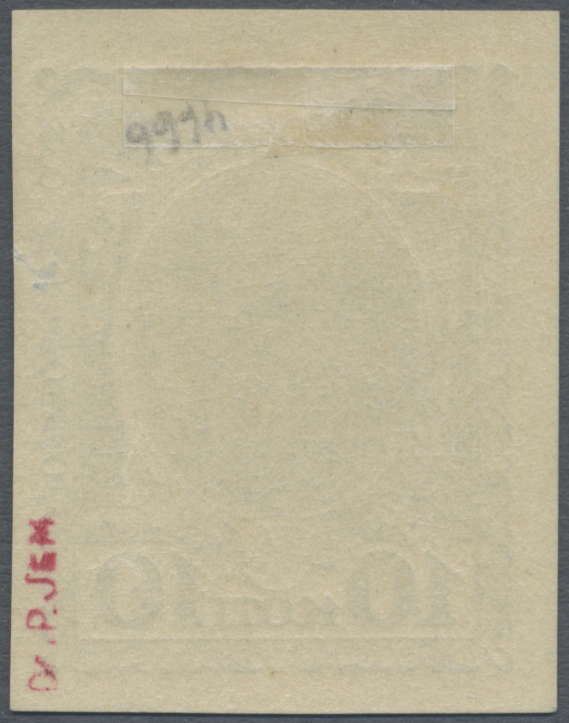 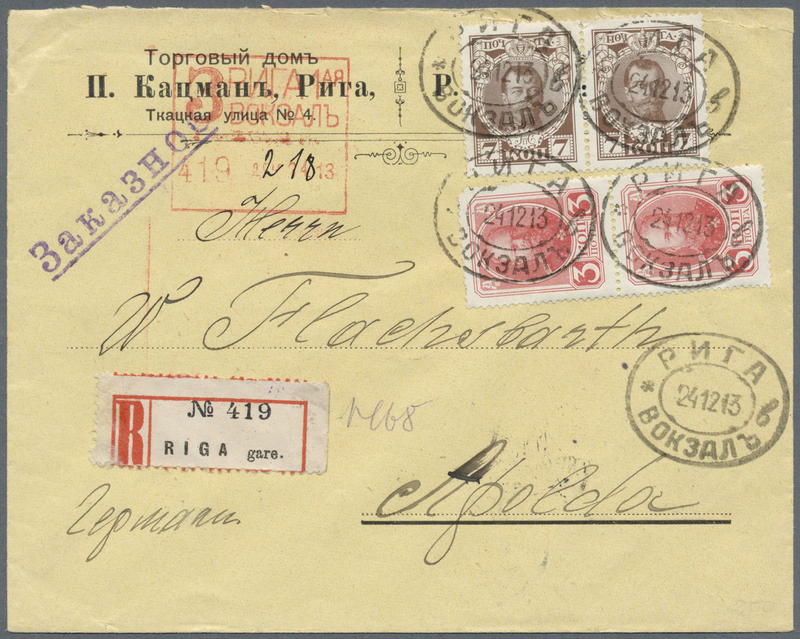 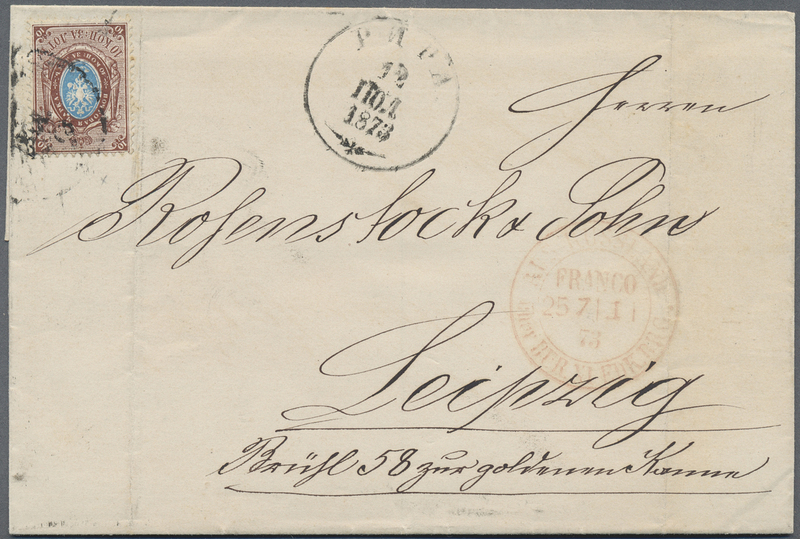 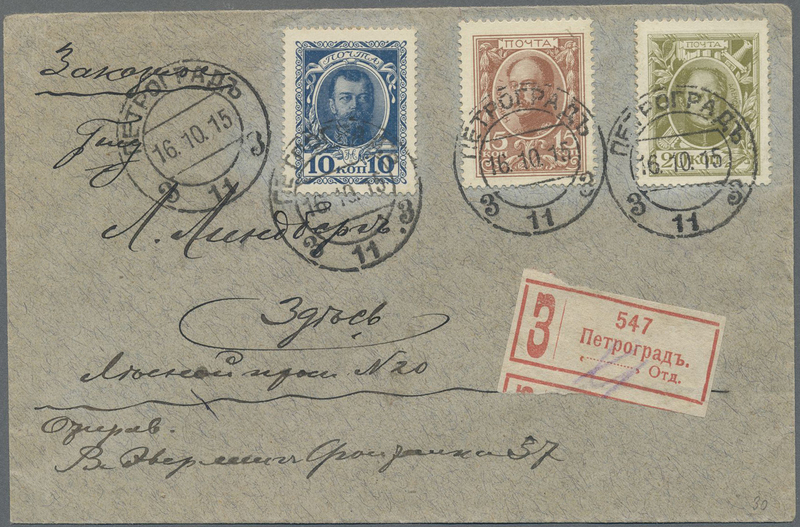 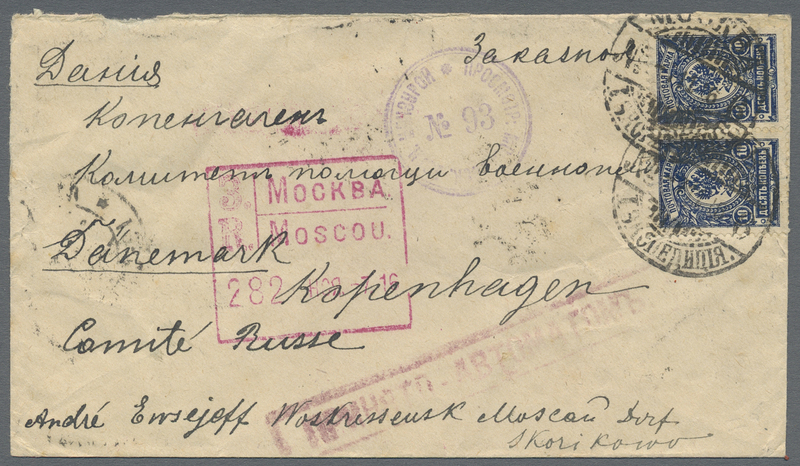 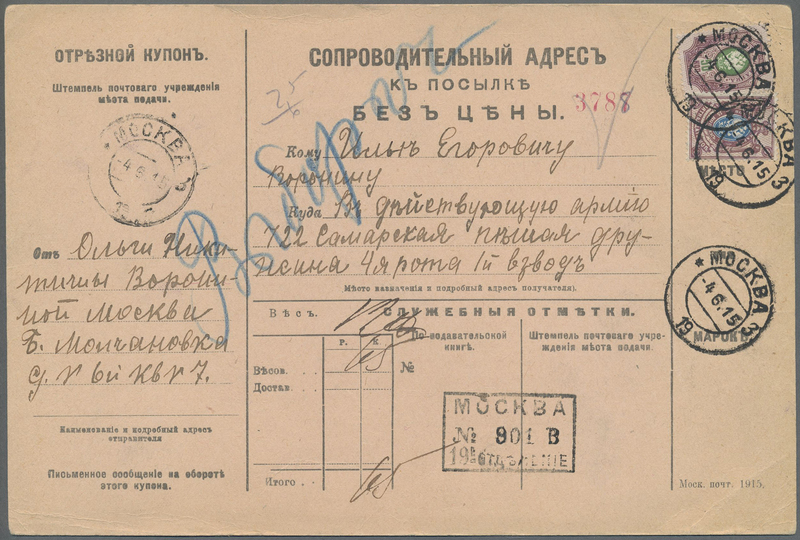 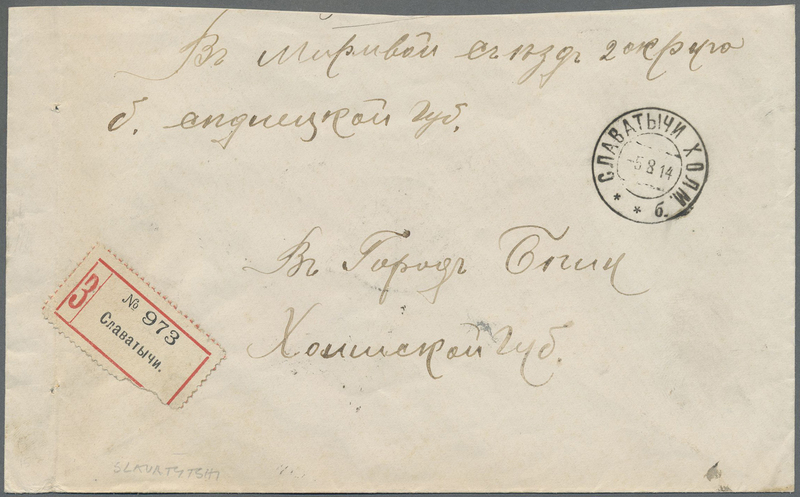 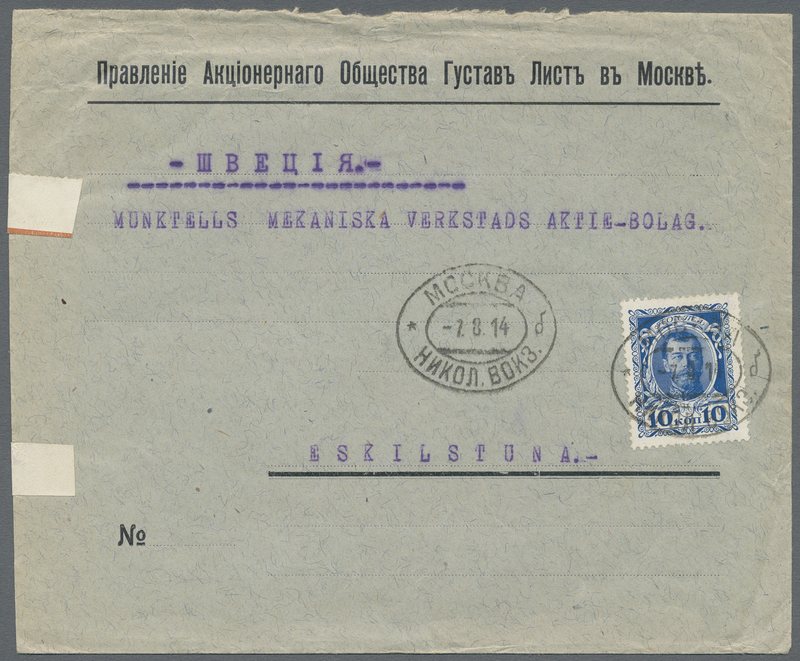 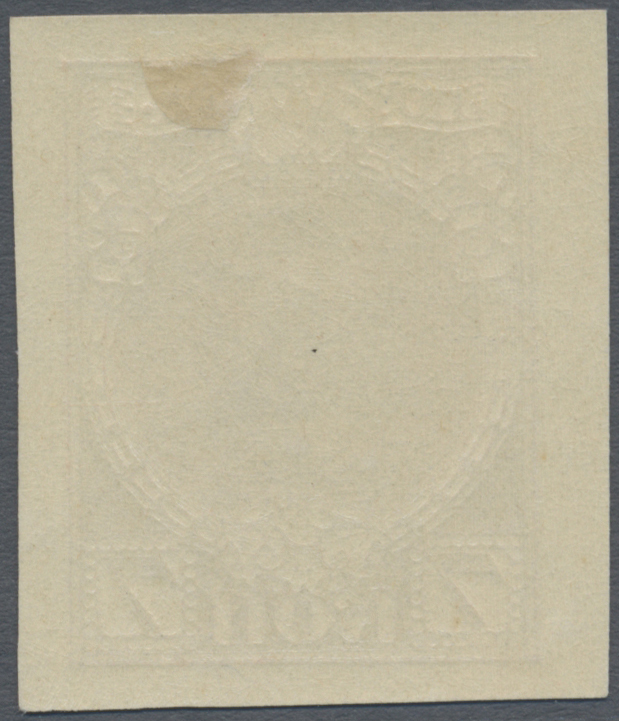 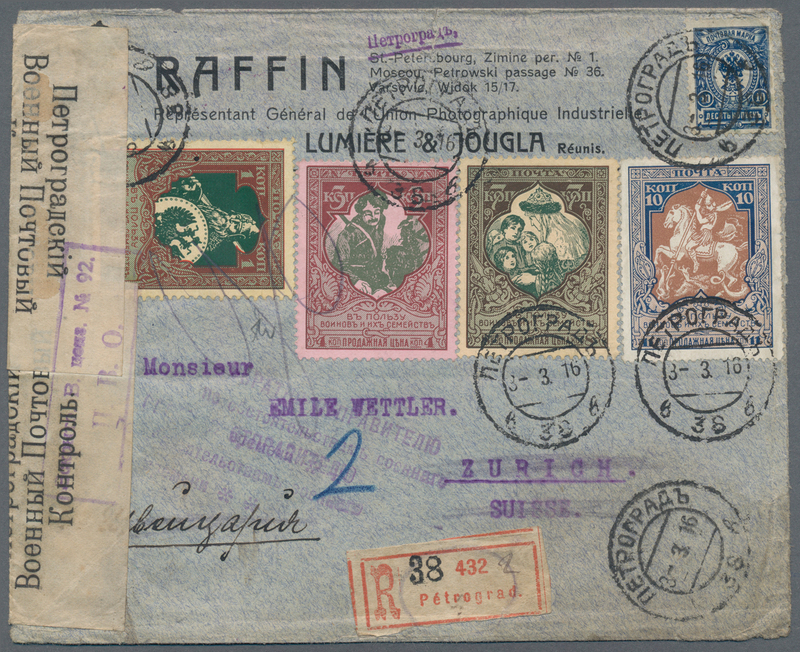 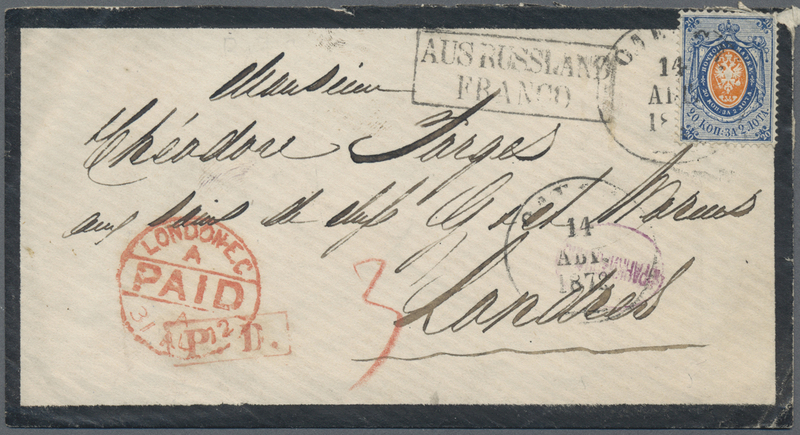 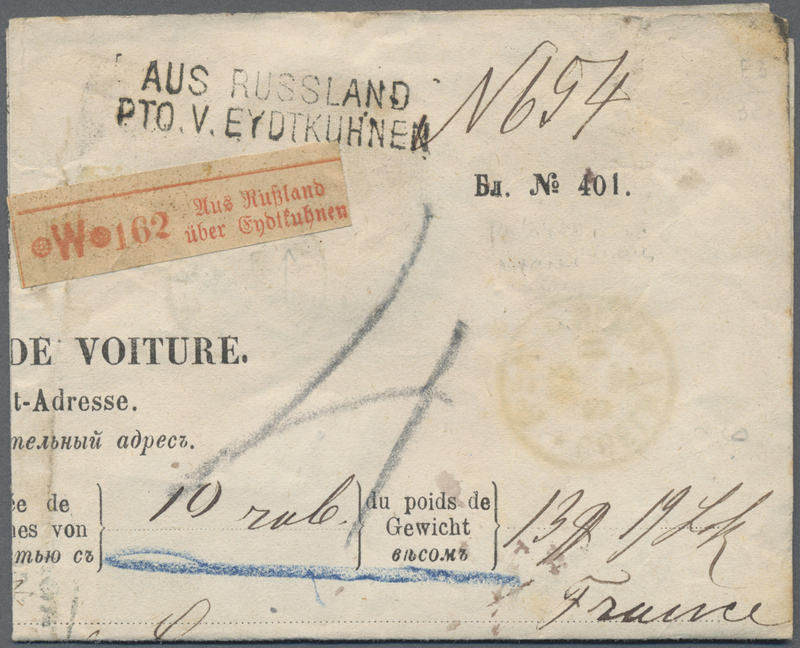 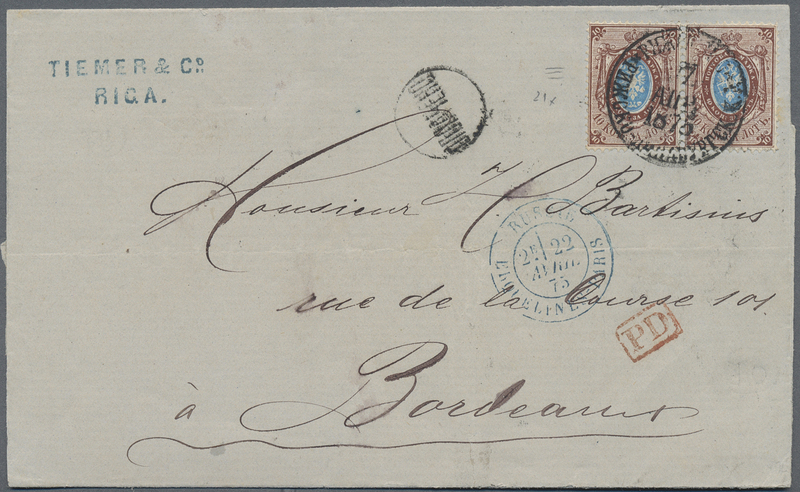 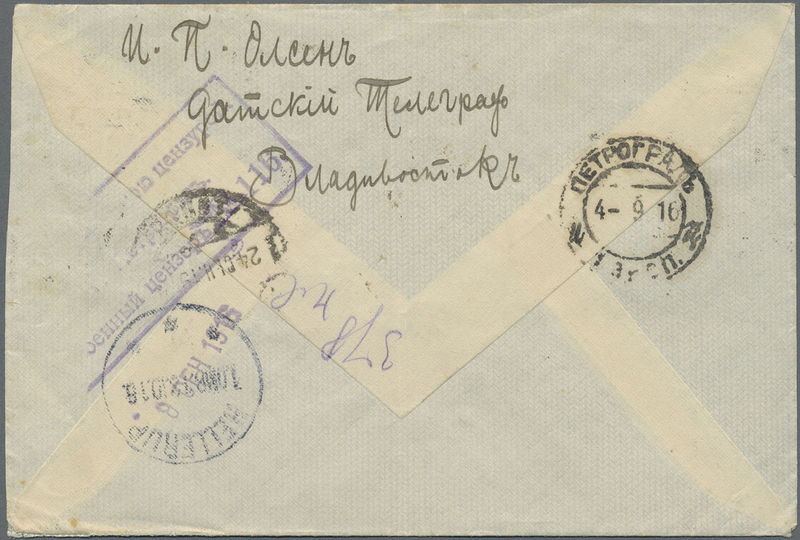 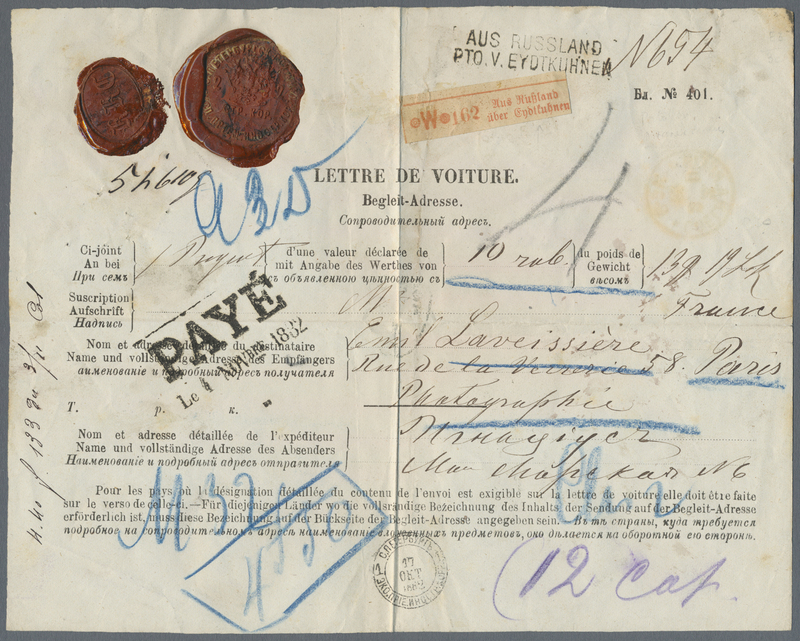 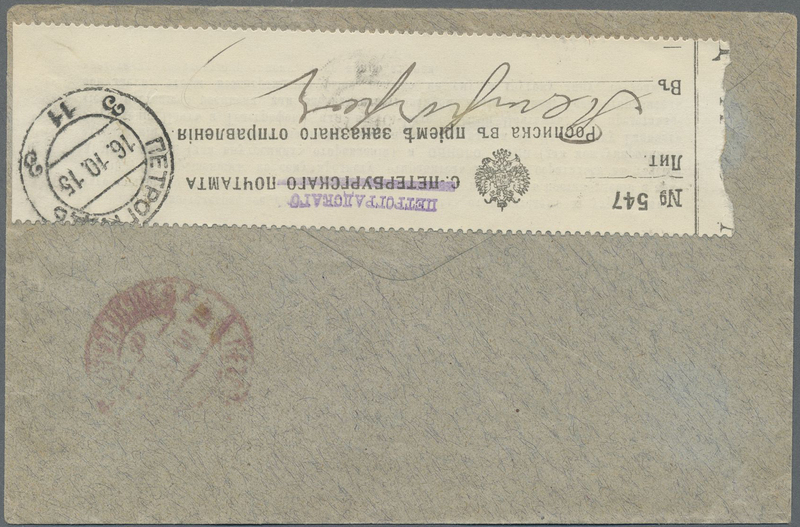 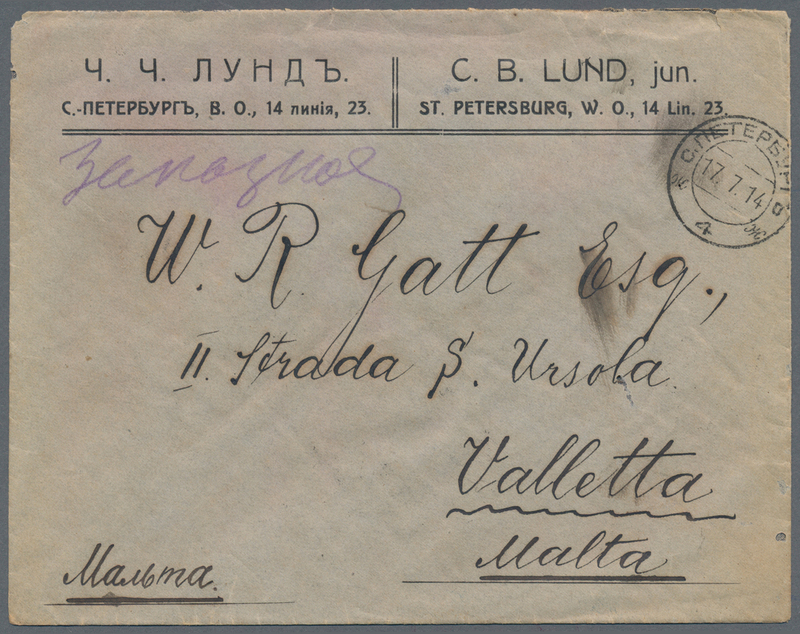 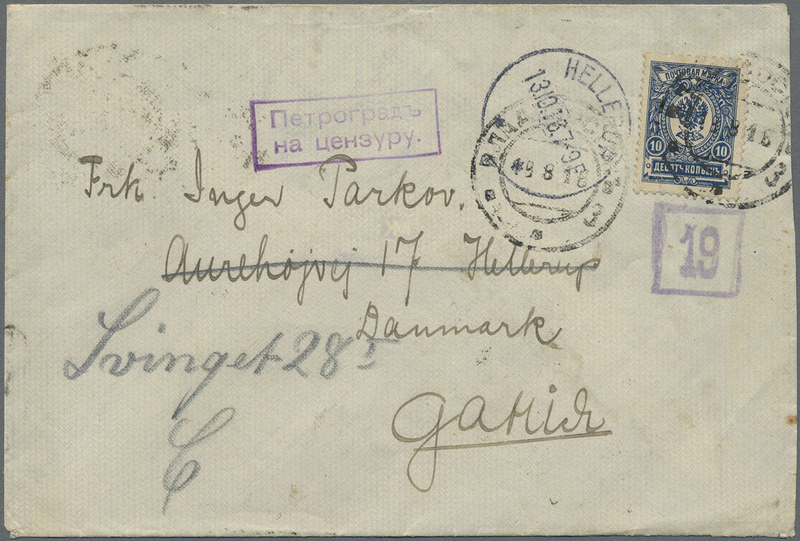 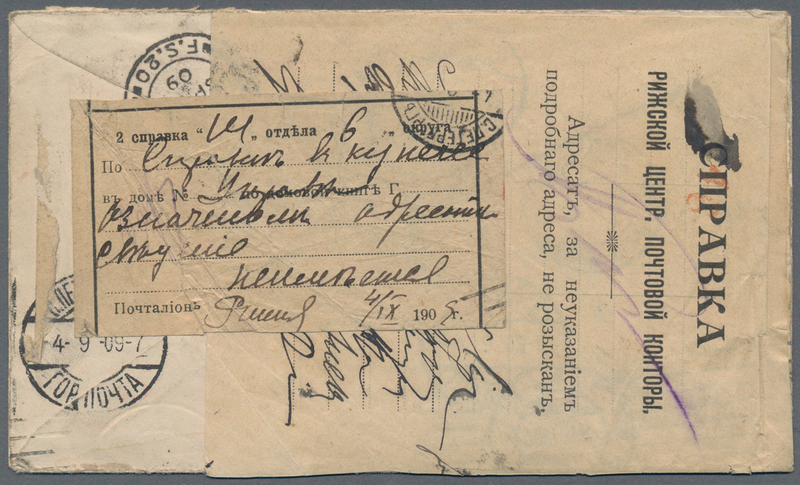 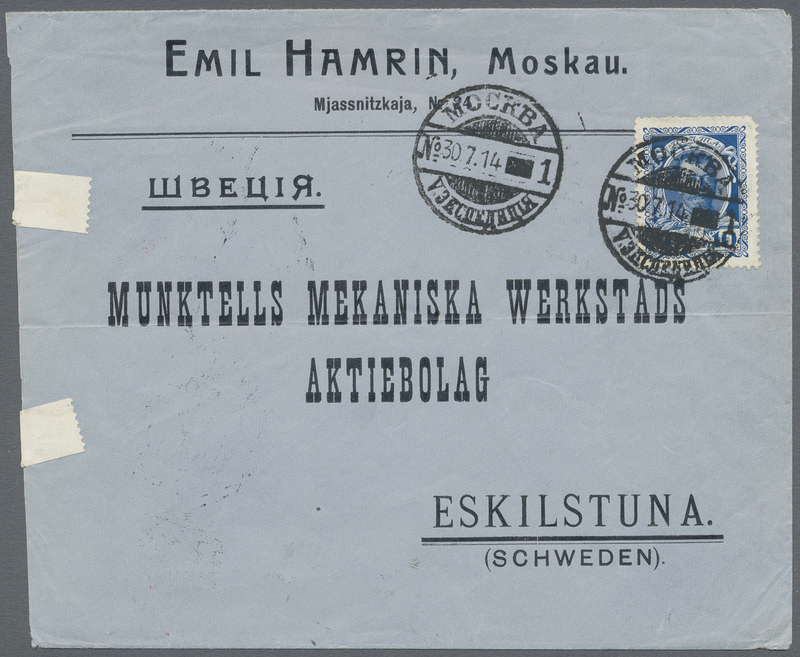 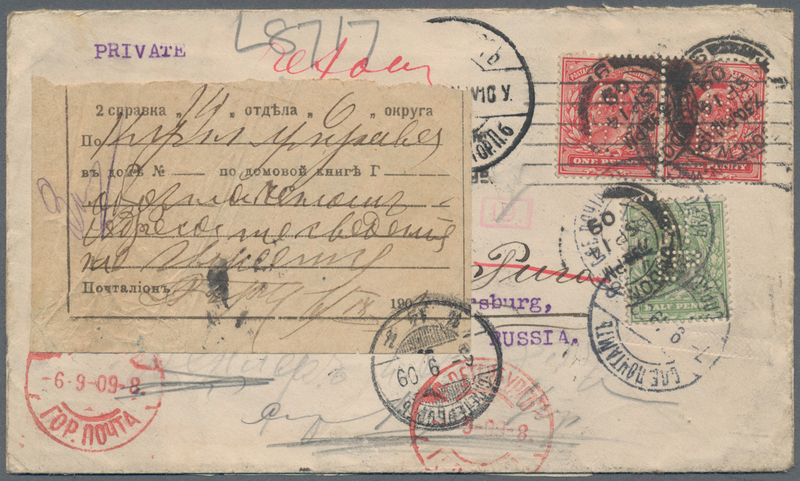 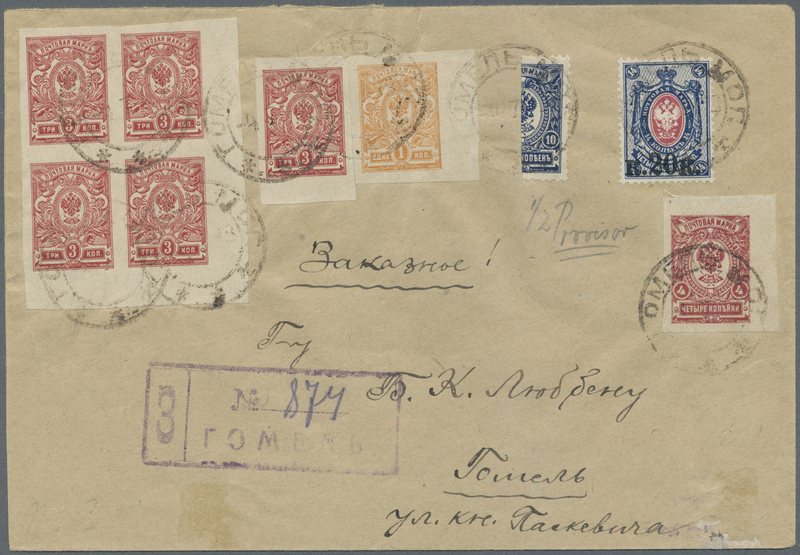 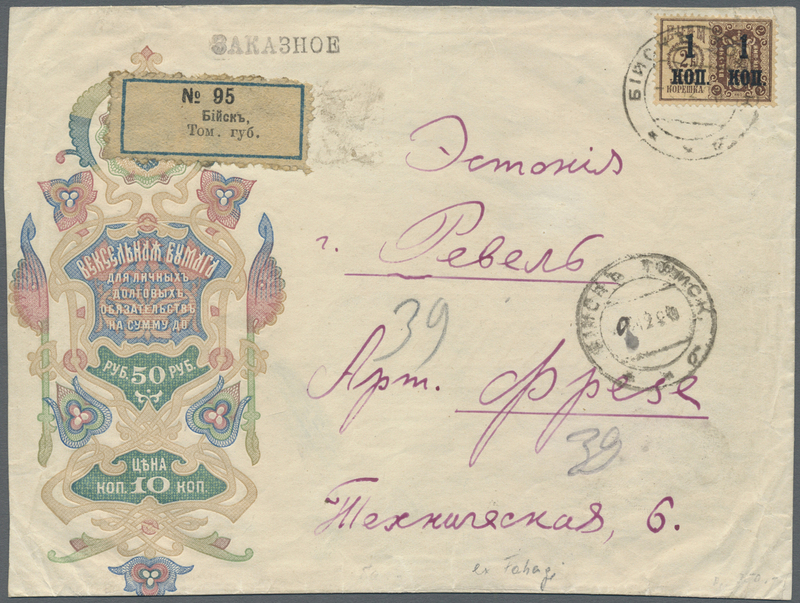 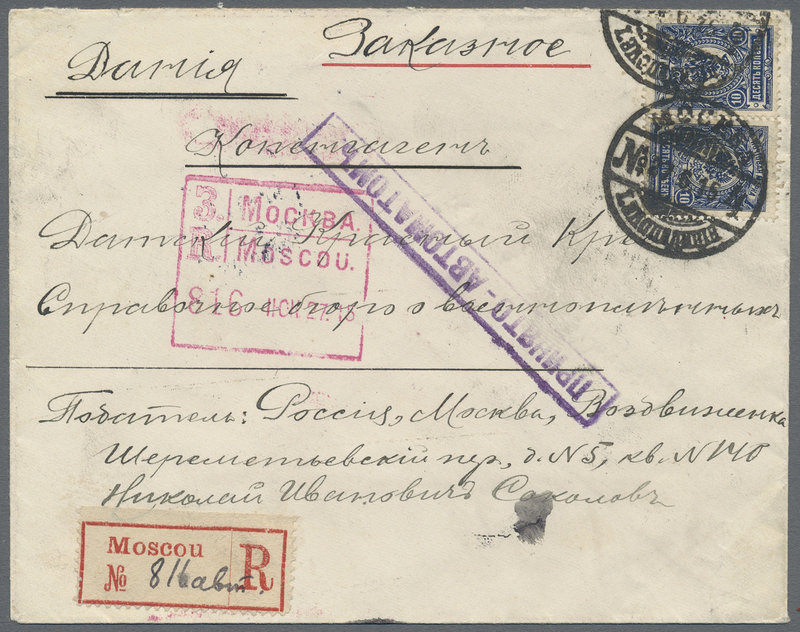 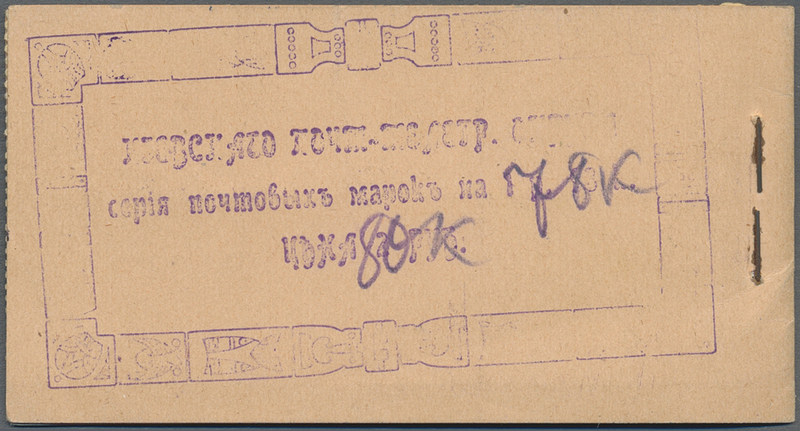 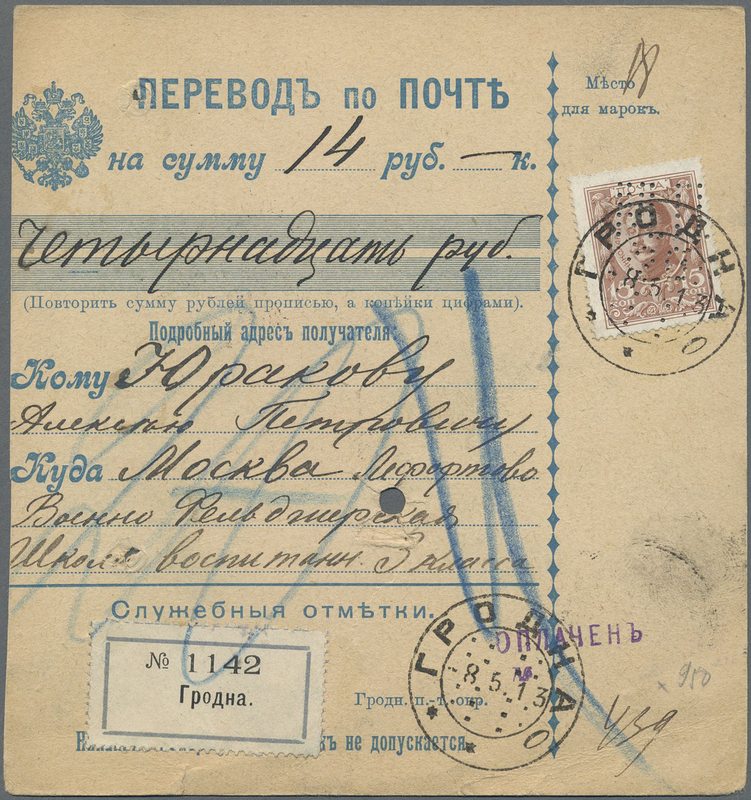 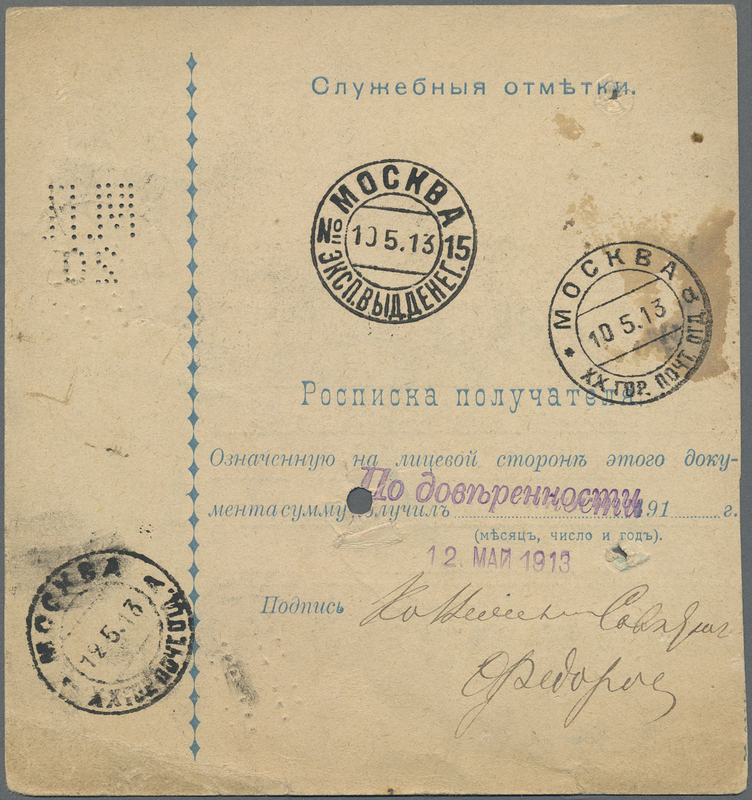 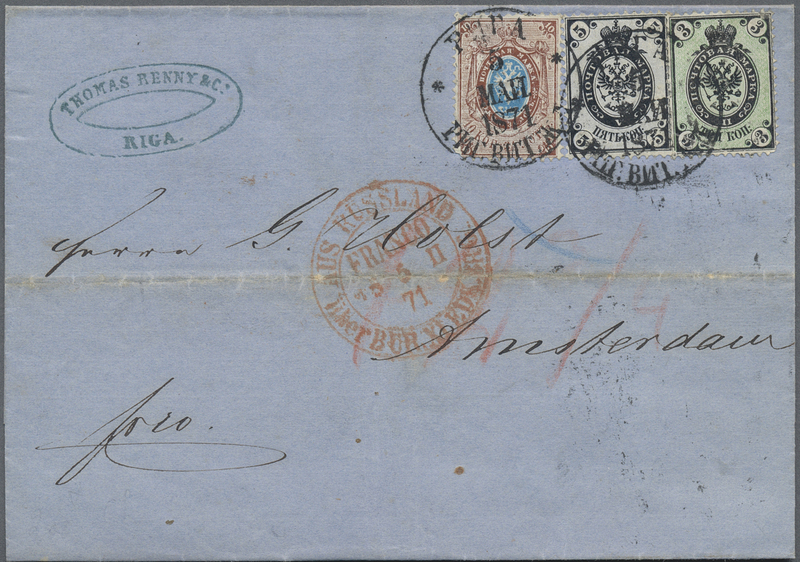 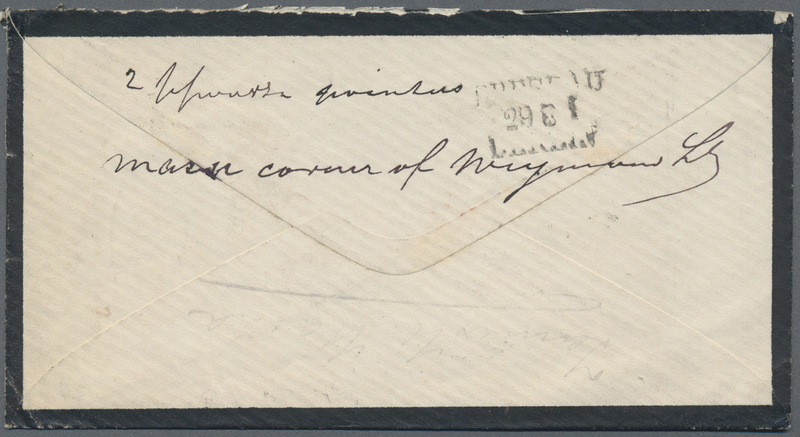 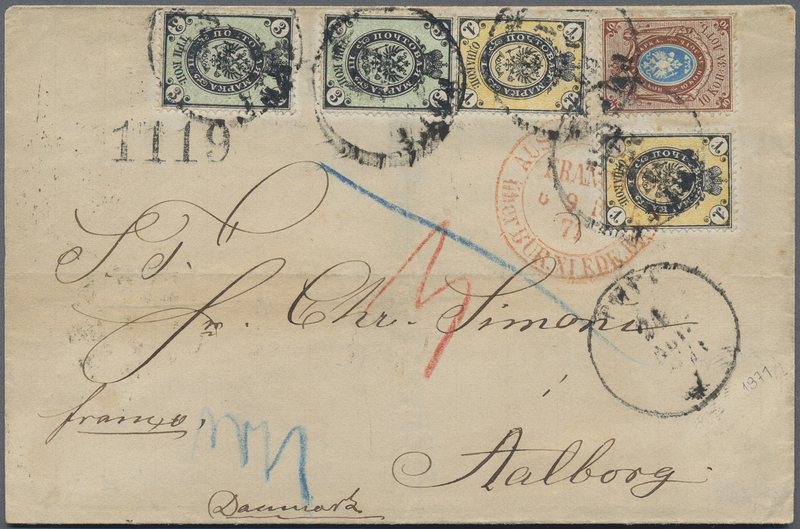 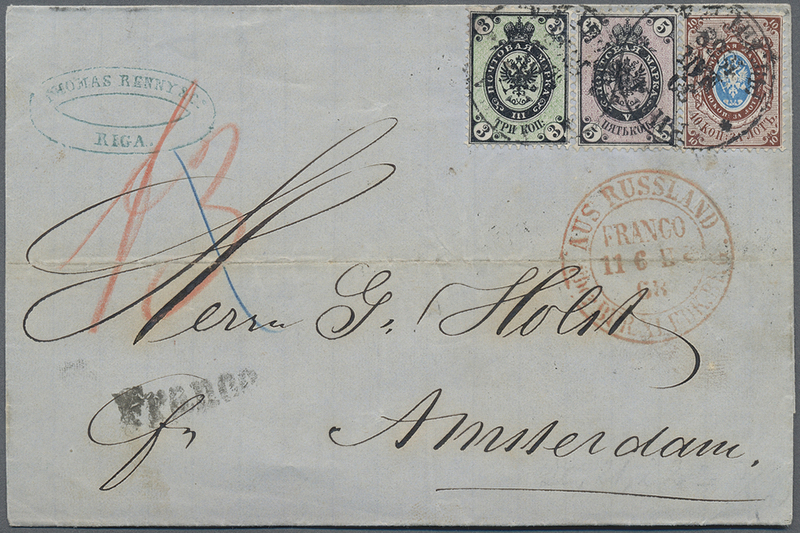 tied "MOSKVA 16 8 22" to reverse of registered air mail cover to Germany w. backstamp "BADEN-BADEN 24.8.22", cover unevenly opened, faults. 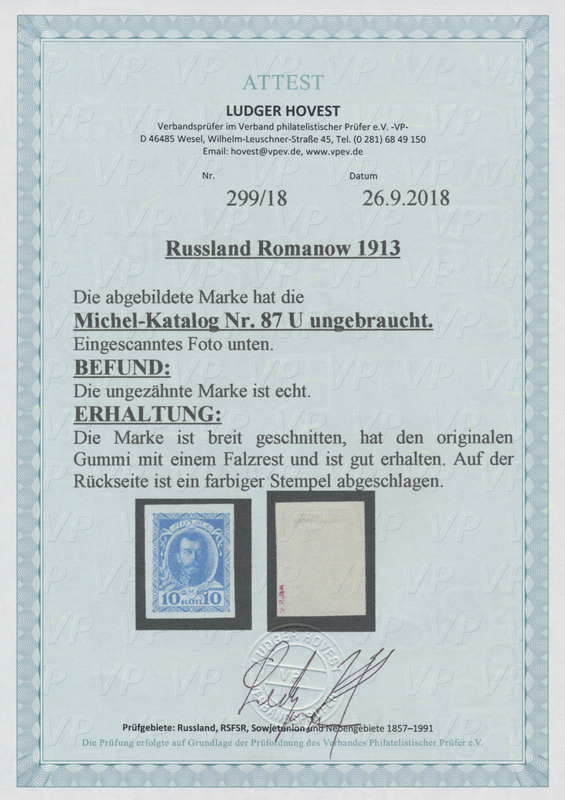 19825 ungebraucht ohne Gummi (unused without gum) (*) 86 1913 Imperial Russia 300 years of Romanov dynastie, 7 kop and Great Britain 1902 King Edward VII, 1d black (2) ECKERLIN DIE PROOF ESSAYS printed in 1924 on ungummed WATERMARKED paper as sample in the hope of selling Dr. Eckerlin's rotary press process for intaglio printing (developed by Herbst & Illig in Germany) to the British Post and Russian Post. 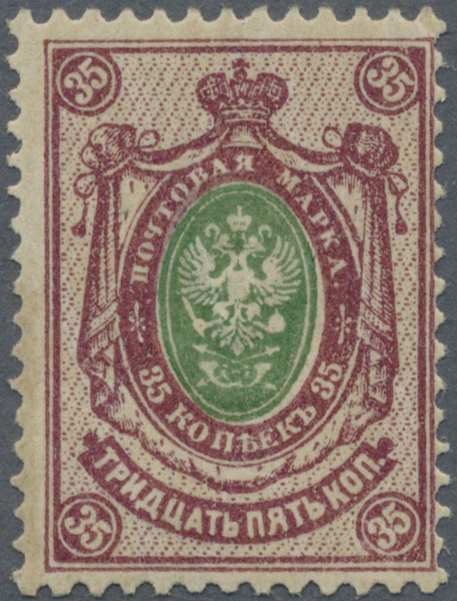 In superb condition. 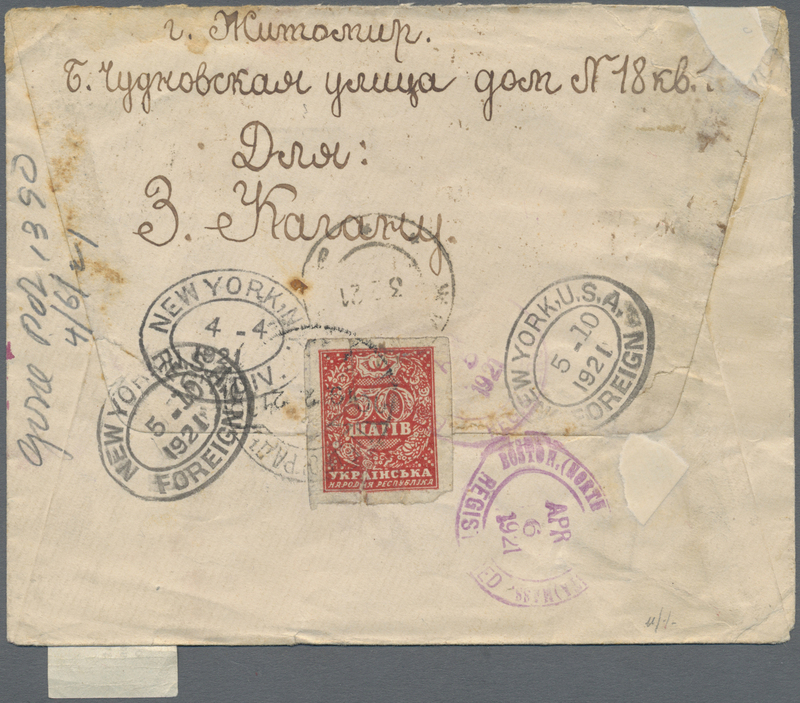 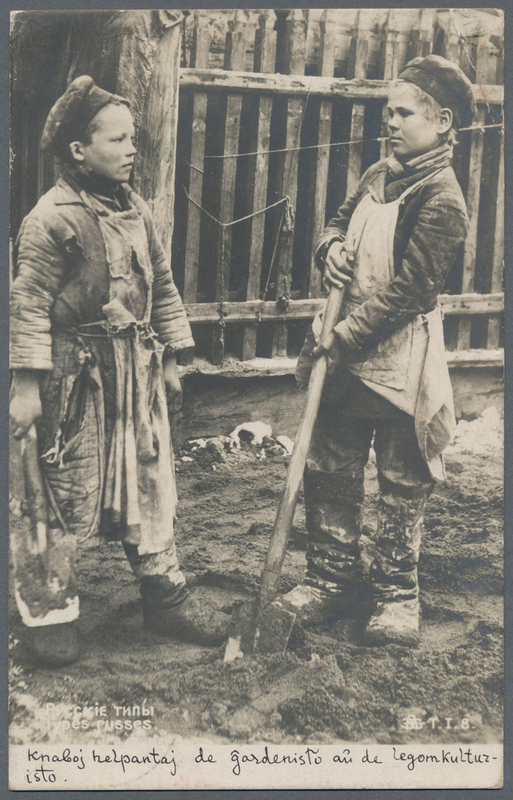 A VERY RARE TWO COUNTRY SAMPLE ESSAY. 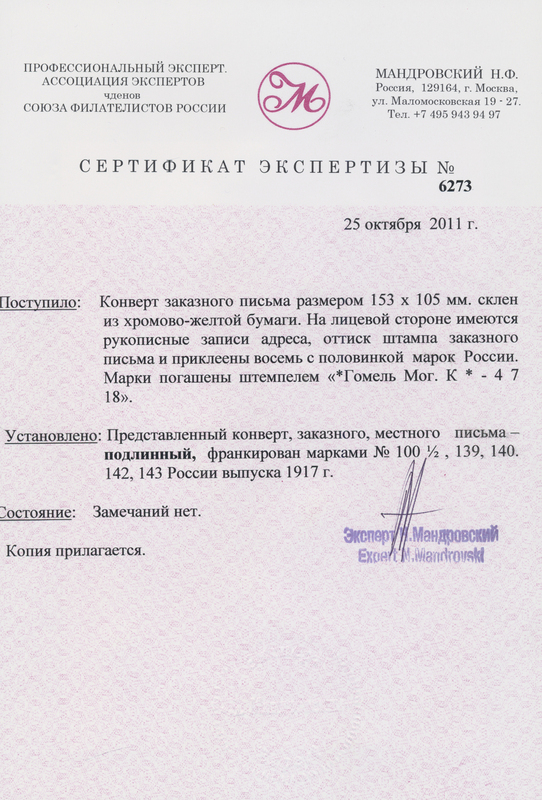 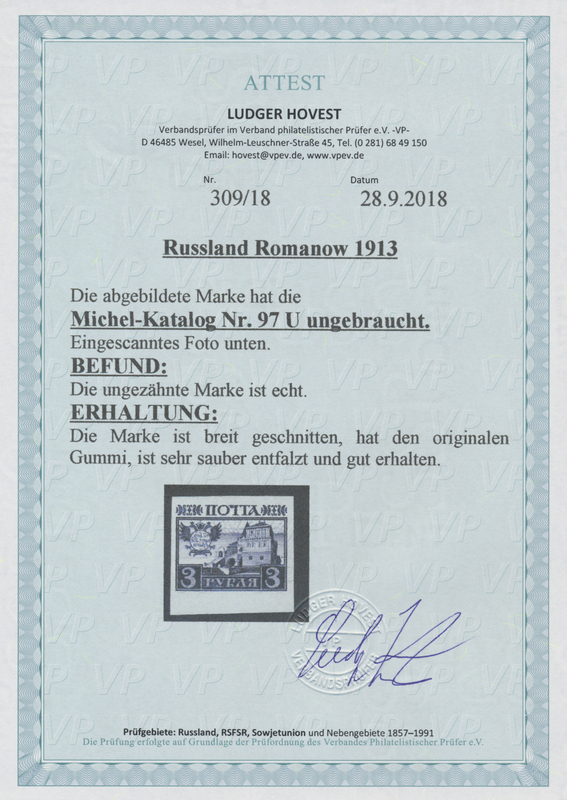 Photocopy of RPS CERTIFICATE (2018) for similar item of same origin included. 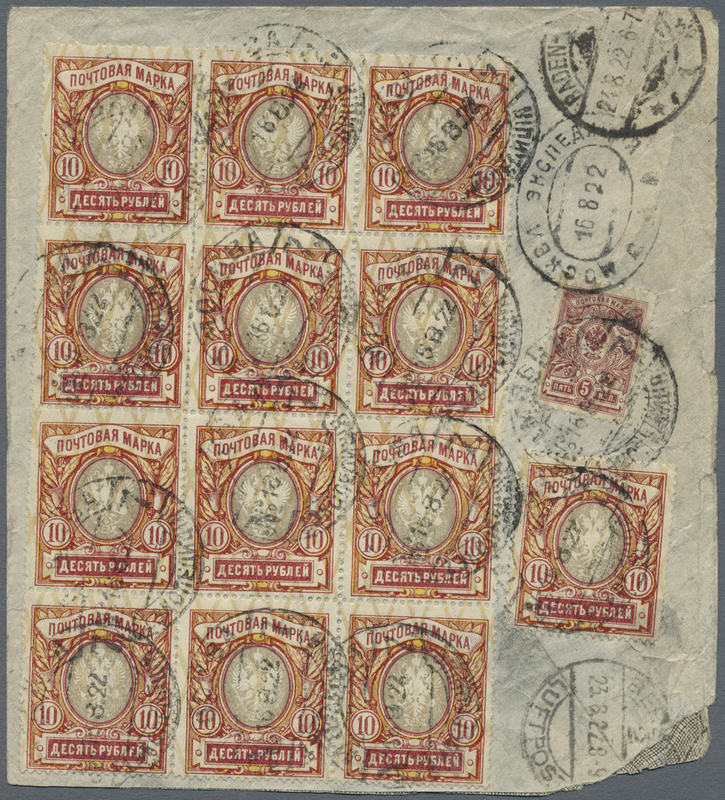 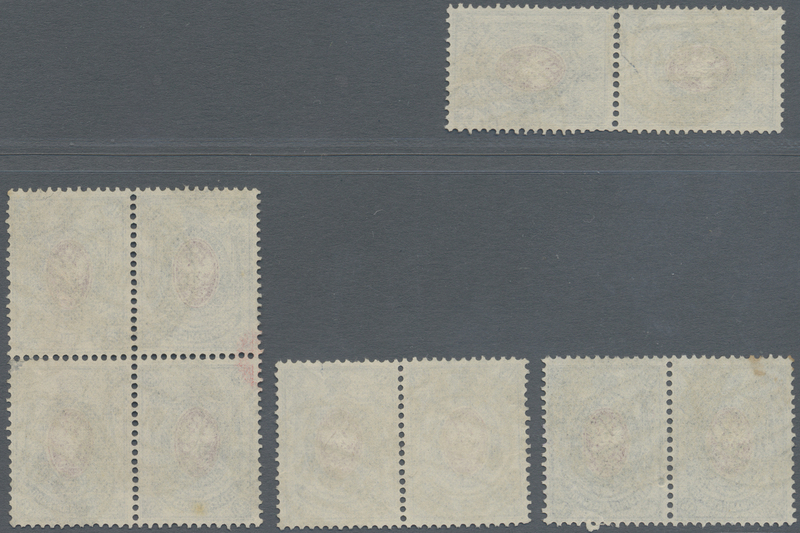 Similar essay by this company are known for Canada, these are described in an October 2002 articles of the philatelic magazine "Maple Leaves": "Dr. Eckerlin, was director of Herbst & Illig of Frankfurt-am-Main, Germany. 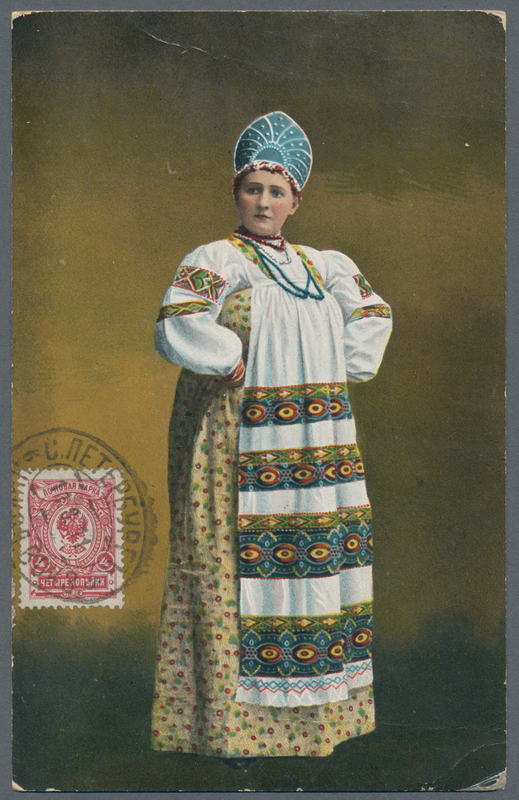 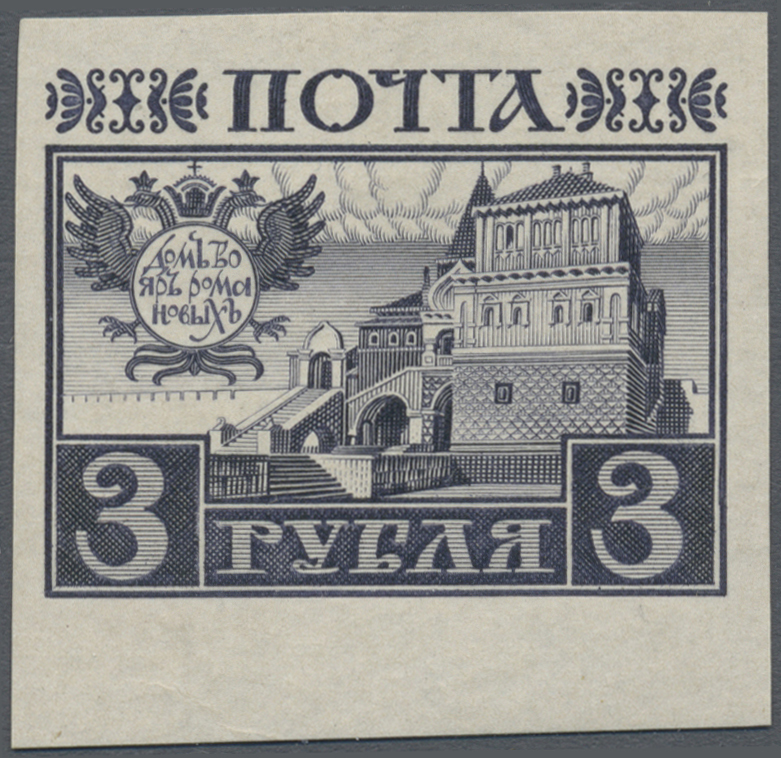 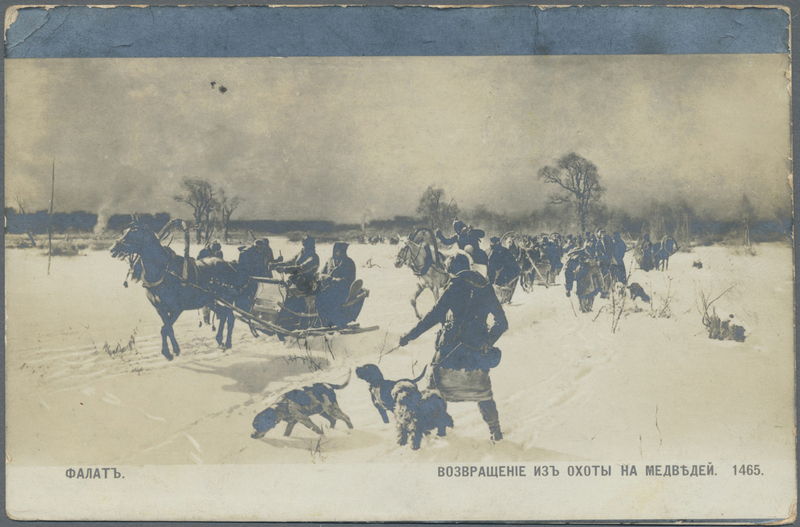 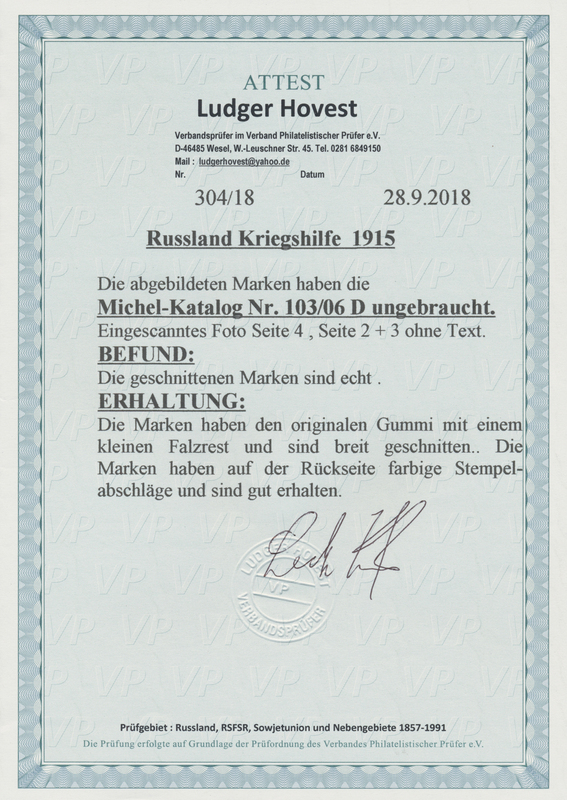 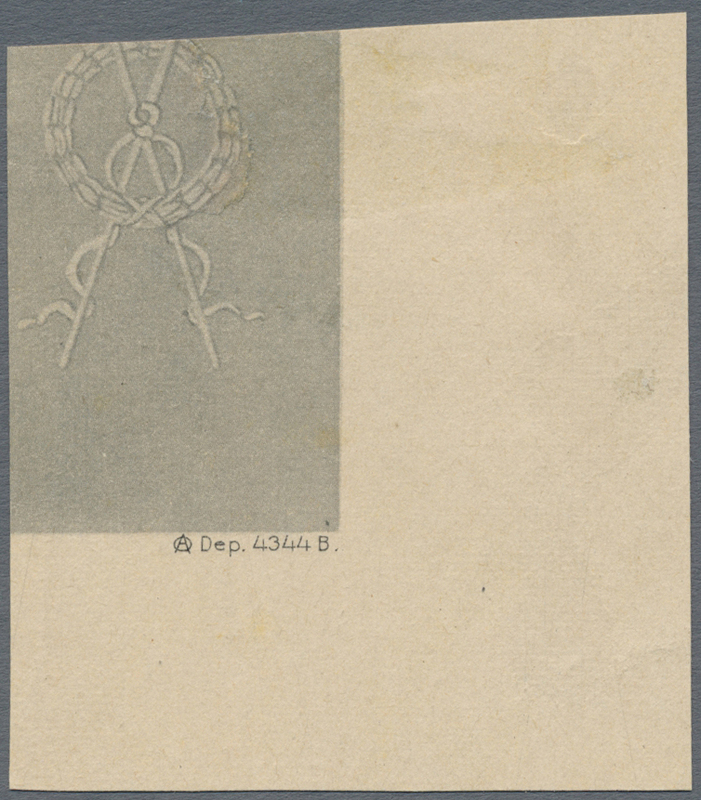 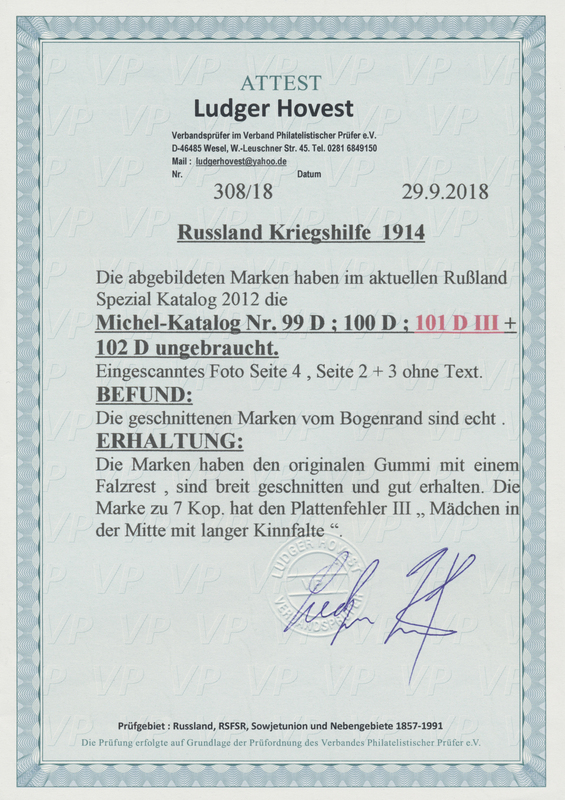 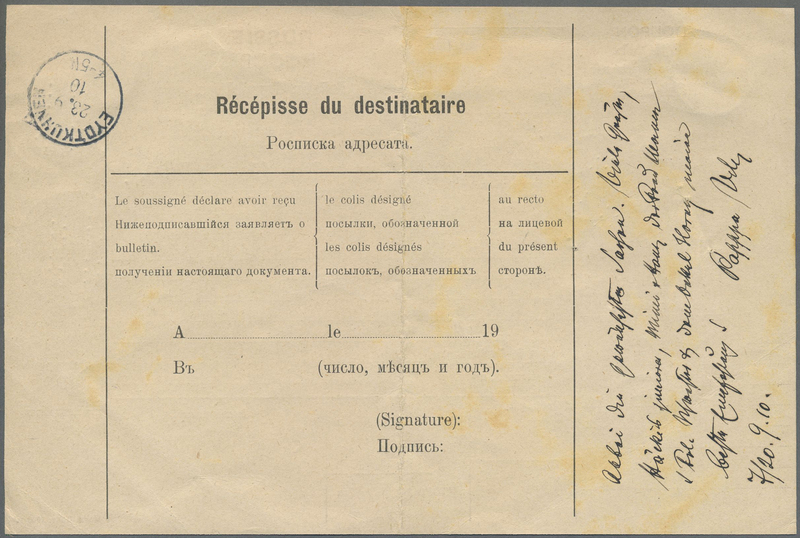 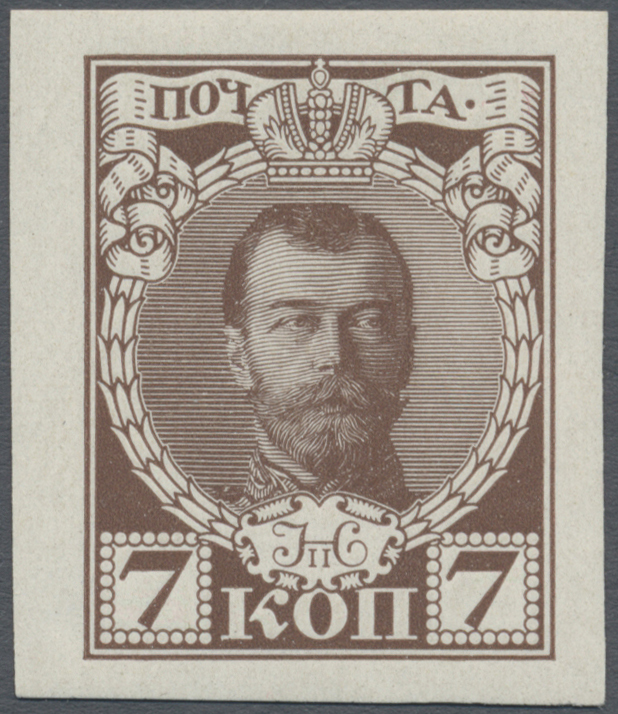 In 1928, Dr. Eckerlin contacted Treadway of ABN for purposes of promoting a proprietary rotary intaglio printing process that was faster and cheaper than steel engraved printing..."
19839 postfrisch (never hinged) ** MH 3 1914, Romanov dynasty, booklet with H-sheet 7 Kop Tsar Nikolaus, 3 Kop Alexander III. 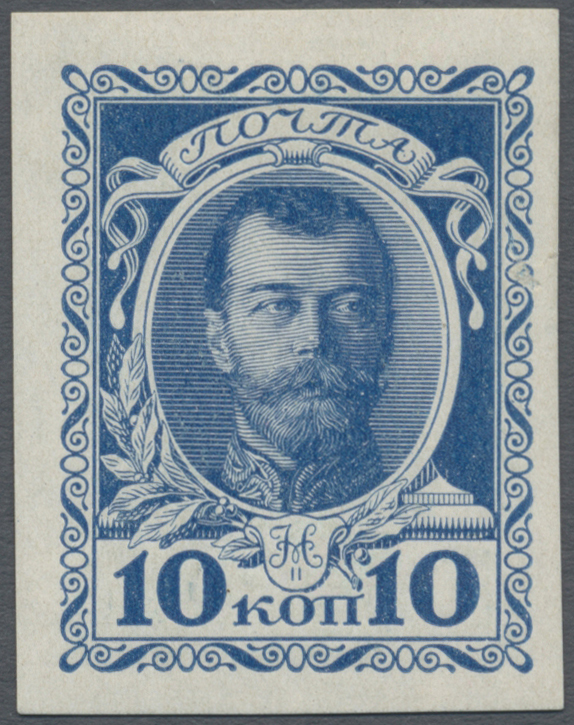 and 3 times Peter I., only known copy, unique!